To increase the detection sensitivity of a touch panel, provide a thin touch panel, provide a foldable touch panel, or provide a lightweight touch panel. A display element and a capacitor forming a touch sensor are provided between a pair of substrates. Preferably, a pair of conductive layers forming the capacitor each have an opening. The opening and the display element are provided to overlap each other. A light-blocking layer is provided between a substrate on the display surface side and the pair of conductive layers forming the capacitor. 本发明的一个方式涉及一种触摸面板。  An embodiment of the present invention relates to a touch panel. 注意，本发明的一个方式不局限于上述技术领域。  Note that one embodiment of the present invention is not limited to the technical field. 本说明书等所公开的发明的一个方式涉及一种物体、方法或制造方法。 One embodiment of the present invention disclosed in the specification and the like relates to an object, the methods or processes. 另外，本发明的一个方式涉及一种工序（process)、 机器（machine)、产品（manufacture)或组合物（composition of matter)。 Further, one embodiment of the present invention relates to a process (Process), the machine (Machine), the product (Manufacture) or composition (composition of matter). 因此，更具体而言，作为本说明书所公开的本发明的一个方式的技术领域的一个例子可以举出半导体装置、显示装置、发光装置、蓄电装置、存储装置、电子设备、照明装置、输入装置、输入输出装置、这些装置的驱动方法或制造方法。 Thus, more specifically, an example of a technical field of the present invention as disclosed in the present specification may include a semiconductor device, a device, a light emitting device, the power storage device, a storage device, an electronic device, a lighting display means, input means input-output device, a driving method or process of these devices. 注意，在本说明书等中，半导体装置是指能够通过利用半导体特性而工作的所有装置。  Note that in this specification and the like, a semiconductor device refers to all devices capable of operating by utilizing semiconductor characteristics. 除了晶体管等半导体元件之外，半导体电路、运算装置或存储装置也是半导体装置的一个方式。 In addition to the semiconductor element such as a transistor, a semiconductor circuit, a storage device or arithmetic device is a semiconductor device. 摄像装置、显示装置、液晶显示装置、发光装置、电光装置、发电装置（包括薄膜太阳能电池、有机薄膜太阳能电池等）及电子设备有时包括半导体装置。 An imaging device, a display device, a liquid crystal display device, a light emitting device, an electro-optical device, power generating means (comprising a thin film solar cell, an organic thin film solar cell, etc.) and an electronic device may include a semiconductor device. 近年来，显示装置被期待应用于各种用途，并被要求多样化。  In recent years, a display device is expected to be used for various purposes, and diverse requirements. 例如，作为便携式信息终端，具备触摸面板的智能手机或平板终端的开发正在加速。 For example, as a portable information terminals, smart phone or tablet with a touch panel terminal is accelerating. 另外，专利文献1公开了在薄膜衬底上具备用作开关元件的晶体管及有机EL元件的具有柔性的有源矩阵型发光装置。  Further, disclosed in Patent Document 1 includes a transistor and an organic EL element as a switching element over a film substrate having an active matrix flexible light-emitting device. 作为显示面板，具有作为用户界面用手指或触屏笔等触摸屏幕来进行输入的功能的触摸面板备受期待。  As the display panel, it has a function as a user interface with a finger or stylus touching the screen like a touch panel input is expected. 另外，要求应用了触摸面板的电子设备实现薄型化、轻量化。  Further, the electronic device requires the application of a touch panel thinner and lighter. 因此，要求触摸面板自身实现薄型化、轻量化。 Thus, the touch panel itself requires thinner and lighter. 例如，触摸面板可以采用在显示面板的观看侧（显示面一侧）设置触摸传感器的结构。  For example, a touch panel, a touch sensor may be disposed in the viewing side of the display panel (display surface side) structure employed. 在此，当采用在显示面板的显示面一侧以重叠有电容式触摸传感器的方式设置触摸面板的结构时，当构成显示面板的像素或布线与构成触摸传感器的电极或布线之间的距离缩小时，触摸传感器容易受驱动显示面板时产生的噪声的影响，其结果是，有时导致触摸面板的检测灵敏度下降。  Here, when using overlapped one side capacitive touch sensors in a touch panel display surface of the panel structure, or when the wiring between the display panel pixels and the electrodes or wirings constituting the touch sensor when the reduced distance, the touch sensor susceptible to noise generated by driving the display panel, as a result, sometimes results in detection sensitivity of the touch panel is decreased. 本发明的一个方式的目的之一是提高触摸面板的检测灵敏度。  One object of one embodiment of the present invention is to improve the detection sensitivity of the touch panel. 本发明的一个方式的目的之一是提供一种较薄的触摸面板。 One object of one embodiment of the present invention is to provide a thin touch panel. 本发明的一个方式的目的之一是提供一种可弯曲的触摸面板。 One object of one embodiment of the present invention is to provide a flexible touch panel. 本发明的一个方式的目的之一是提供一种轻量的触摸面板。 One object of one embodiment of the present invention is to provide a lightweight touch panel. 本发明的一个方式的目的之一是提供一种可靠性高的触摸面板。 One object of one embodiment of the present invention is to provide a high-reliability touch panel. 本发明的一个方式的目的之一是提供一种新颖的输入装置。  One object of one embodiment of the present invention is to provide a novel input device. 本发明的一个方式的目的之一是提供一种新颖的输入输出装置。 One object of one embodiment of the present invention is to provide a novel input and output device. 注意，这些目的的记载不妨碍其他目的的存在。  Note that, the description does not interfere with these objects exist for other purposes. 注意，本发明的一个方式并不需要实现所有上述目的。 Note that one embodiment of the present invention does not require that all achieve the above object. 这些目的以外的目的从说明书、附图、权利要求书等的记载是显而易见的，并可以从所述记载中抽出。 For purposes other than those described in the specification, drawings, claims and the like will be apparent to and can be extracted from the description of. 本发明的一个方式是一种触摸面板，包括第一衬底、第二衬底、第一导电层、第二导电层、第一发光元件、第二发光元件以及遮光层。  An embodiment of the present invention is a touch panel comprising a first substrate, a second substrate, a first conductive layer, a second conductive layer, a first light-emitting element, a second light emitting element and a light shielding layer. 第一导电层包括第一开口，第二导电层包括第二开口。 The first conductive layer includes a first opening, a second conductive layer comprises a second opening. 第一导电层及第二导电层形成电容。 A first conductive layer and the second conductive layer form a capacitor. 第一开口及第一发光元件在一个区域中互相重叠，第二开口及第二发光元件在一个区域中互相重叠。 A first opening and a first light emitting element in a region overlapped with each other, the second opening and a second light emitting element in a region overlapped with each other. 第一导电层及遮光层在一个区域中互相重叠，第二导电层及遮光层在一个区域中互相重叠。 A first conductive layer and the light-shielding layer overlap each other in a region of the second conductive layer and the light-shielding layer overlap each other in a region. 第一发光元件及第二发光元件具有位于第一衬底与第二衬底之间的区域。 A first light emitting element having a light emitting element and the second region is located between the first substrate and the second substrate. 第一导电层及第二导电层具有位于第一发光元件或第二发光元件与第二衬底之间的区域。 A first conductive layer and a second conductive layer having a light emitting element located between the first region or the second light emitting element and the second substrate. 遮光层具有位于第一导电层或第二导电层与第二衬底之间的区域。 Light-shielding layer having a region between the first conductive layer or second conductive layer and the second substrate. 在上述方式中，第一导电层或第二导电层的CR值优选大于Os且为IX 10 4S以下。  In the above embodiment, CR value of the first conductive layer or the second conductive layer is preferably greater than Os and IX 10 4S less. 另外，在上述方式中，第一导电层或第二导电层优选具有开口率为20 %以上且低于100%的区域。  In the above embodiment, the first conductive layer or second conductive layer preferably has an opening area ratio of 20% or more and less than 100%. 另外，在上述方式中，优选的是，触摸面板包括第三导电层，第三导电层比第一导电层或第二导电层更靠近第一衬底，并且包括第一导电层与第三导电层之间的距离或第二导电层与第三导电层之间的距离为25nm以上且50 μπι以下的区域。  In the above embodiment, it is preferable that the touch panel includes a third conductive layer, the third conductive layer closer to the first substrate than the first conductive layer or second conductive layer, and including a first conductive layer and 25nm or less than 50 μπι area and distance between the distance between the third conductive layer or second conductive layer and the third conductive layer. 另外，在上述方式中，触摸面板包括第三发光元件，第三发光元件具有位于第一衬底与第二衬底之间的区域，第三发光元件及第一开口优选在一个区域中互相重叠。  In the above embodiment, the touch panel includes a third light-emitting element, a light-emitting element having a third region located between the first substrate and the second substrate, a first opening and a third light-emitting element is preferably in a region overlap each other. 另外，在上述方式中，触摸面板包括第四发光元件，第四发光元件具有位于第一衬底与第二衬底之间的区域，第四发光元件及第二开口优选在一个区域中互相重叠。  In the above embodiment, the touch panel includes a fourth light-emitting element, a fourth element having a light emitting region is located between the first substrate and the second substrate, a fourth light emitting element and a second opening in a region of preferably overlap each other. 另外，在上述方式中，触摸面板包括绝缘层，第一导电层及第二导电层在一个区域中互相重叠，绝缘层优选具有位于第一导电层与第二导电层之间的区域。  In the above embodiment, the touch panel includes an insulating layer, a first conductive layer and the second conductive layer overlap each other in a region, the insulating layer preferably has a region positioned between the first conductive layer and a second conductive layer, . [0021 ] 另外，在上述方式中，触摸面板优选包括第四导电层、第五导电层及绝缘层。  In the above embodiment, the touch panel preferably comprises a fourth conductive layer, a fifth conductive layer and the insulating layer. 在此， 第四导电层及遮光层在一个区域中互相重叠。 Here, the fourth conductive layer and the light-shielding layer overlap each other in a region. 第五导电层及遮光层在一个区域中互相重叠。 Fifth conductive layer and the light-shielding layer overlap each other in a region. 第五导电层及第二导电层在一个区域中互相重叠。 Fifth conductive layer and the second conductive layer overlap each other in a region. 绝缘层具有位于第一导电层与第五导电层之间的区域。 The insulating layer has a region located between the first conductive layer and the fifth conductive layer. 绝缘层具有位于第二导电层与第五导电层之间的区域。 The insulating layer has a region positioned between the second conductive layer and the fifth conductive layer. 绝缘层具有位于第四导电层与第五导电层之间的区域。 The insulating layer has a region positioned between the fourth conductive layer and the fifth conductive layer. 绝缘层包括第三开口及第四开口。 The insulating layer includes a third opening and a fourth opening. 第一导电层与第五导电层通过第三开口电连接。 A first conductive layer and the fifth conductive layer is electrically connected through the third opening. 第四导电层与第五导电层优选通过第四开口电连接。 Fourth conductive layer and the fifth conductive layer is preferably electrically connected via the fourth opening. 再者，优选包括第五发光元件。  Further, preferably comprising a fifth light emitting element. 此时，第四导电层包括第五开口，第五发光元件具有位于第一衬底与第二衬底之间的区域，第五开口及第五发光元件优选在一个区域中互相重叠。 At this time, the fourth conductive layer comprises a fifth opening, having a fifth light-emitting element region is located between the first substrate and the second substrate, the fifth opening and the fifth light-emitting element is preferably in a region overlapped with each other. 根据本发明的一个方式，能够提高触摸面板的检测灵敏度。  According to an embodiment of the present invention, it is possible to increase the detection sensitivity of the touch panel. 另外，能够提供较薄的触摸面板。 Further, it is possible to provide a thinner touch panel. 另外，能够提供可弯曲的触摸面板。 Further, it is possible to provide a touch panel bendable. 另外，能够提供轻量的触摸面板。 Further, it is possible to provide a lightweight touch panel. 另外，能够提供可靠性高的触摸面板。 Further, it is possible to provide a touch panel having high reliability. 另外，能够提供新颖的输入装置。  Further, it is possible to provide a novel input device. 另外，能够提供新颖的输入输出装置。 Further, it is possible to provide a novel input-output device. 注意，这些效果的记载不妨碍其他效果的存在。 Note that, without prejudice to the description of these effects exist other effects. 注意，本发明的一个方式并不需要具有所有上述效果。 Note that one embodiment of the present invention need not have all of the above effects. 这些效果以外的效果从说明书、附图、权利要求书等的记载是显而易见的，并可以从所述记载中抽出。 Effects from effects other than those described in the specification, drawings, claims and the like will be apparent to and can be extracted from the description of. 图22是根据实施例的触摸面板的寄生电容及寄生电阻的测定结果。  FIG. 22 is a measurement result of a parasitic capacitance and the parasitic resistance in accordance with a touch panel of the embodiment. 本发明的选择图为图7A至图7G。 FIG selection picture shows  the present invention. 7A to 7G. 参照附图对实施方式进行详细说明。 BRIEF detailed description of embodiments  reference. 注意，本发明不局限于下面说明，所属技术领域的普通技术人员可以很容易地理解一个事实就是其方式及详细内容在不脱离本发明的宗旨及其范围的情况下可以被变换为各种各样的形式。 Note that the present invention is not limited to the following description, those of ordinary skill in the art can be easily understood that modes and details without departing from the spirit and scope of the present invention may be modified in various respective kind of form. 因此，本发明不应该被解释为仅限定在以下所示的实施方式所记载的内容中。 Accordingly, the present invention should not be construed as being limited to the embodiments described below are described in. 注意，在下面说明的发明结构中，在不同的附图中共同使用相同的附图标记来表示相同的部分或具有相同功能的部分，而省略反复说明。  Note that, in the structure of the invention described below, the common use of the same reference numerals in different figures to denote the same portions or portions having the same functions, and repeated description thereof is omitted. 此外，当表示具有相同功能的部分时有时使用相同的阴影线，而不特别附加附图标记。 Further, when parts having the same functions with the same hatching are sometimes, but not especially denoted by reference numerals. 注意，在本说明书所说明的各个附图中，有时为了明确起见，夸大表示各构成要素的大小、层的厚度、区域。  Note that, in the various figures described in this specification, the clarity in some cases, the size of each component is exaggerated, the thickness of the layer region. 因此，本发明并不局限于附图中的尺寸。 Accordingly, the present invention is not limited to the size of the accompanying drawings. 在本说明书等中使用的"第一"、"第二"等序数词是为了避免构成要素的混淆而附记的，而不是为了在数目方面上进行限定的。  "first," "second," and the like ordinal numbers used in the present specification in order to avoid confusion and other components of the note is attached, not intended to be defined in terms of the number. 另外，根据情况或状态，可以互相调换"膜"和"层"。  Further, according to the condition or state, can be replaced with each other "film" and "layer." 例如，有时可以将"导电层" 调换为"导电膜"。 For example, sometimes the "conductive layer" is replaced "conductive film." 另外，有时可以将"绝缘膜"调换为"绝缘层"。 Further, sometimes the "insulating film" is replaced to "the insulating layer." 在本实施方式中，说明本发明的一个方式的触摸面板的结构例子。  In the present embodiment, an example of the configuration of the touch panel of one embodiment of the present invention. 下面说明作为触摸面板所包括的触摸传感器使用电容式触摸传感器的情况。 The following describes the case of using a capacitive touch sensor, a touch panel as the touch sensor included. 注意，在本说明书等中，触摸面板具有如下功能：在显示面显示（输出）图像等的功能；以及检测手指或触屏笔等被检测体接触或接近显示面的作为触摸传感器的功能。  Note that in this specification and the like, a touch panel has a function: the display surface display (output) image and the like; and detecting a finger or a stylus or the like is in contact with the display surface near the sample as a touch sensor Features. 因此触摸面板是输入输出装置的一个方式。 Thus one embodiment of the touch panel is an input output device. 另外，在本说明书等中，有时将在触摸面板的衬底上安装有例如FPC(Flexible printed circuit :柔性印刷电路）或TCP (Tape Carrier Package :载带封装）等连接器的结构或在衬底上以C0G(Chip On Glass:玻璃覆晶封装）方式直接安装IC(集成电路）的结构称为触摸面板模块或触摸面板。  Further, in the present specification and the like, may be mounted, for example, FPC (Flexible printed circuit: flexible printed circuit) substrate on a touch panel: structure (tape carrier package Tape Carrier Package) or the like or the connector TCP on the substrate to C0G (Chip on glass: Chip on glass) structure is directly mounted IC (integrated circuit) module is called a touch panel or a touch panel. 能够用于本发明的一个方式的电容式触摸传感器包括电容器。  The capacitive touch sensor can be used in one embodiment of the present invention comprises a capacitor. 电容器例如可以采用隔着介电质设置第一导电层与第二导电层的结构。 E.g. via a capacitor dielectric disposed first conductive layer and the second conductive layer structures may be employed. 此时，第一导电层的一部分及第二导电层的一部分分别具有电容器的电极的功能。 At this time, a portion of the second conductive layer and a portion of the first conductive layer has a function of each electrode of the capacitor. 另外，第一导电层的其他一部分及第二导电层的其他一部分具有布线的功能。 Further, a portion of the other part and the other second conductive layer of the first conductive layer has a wiring function. 作为电容式，有表面电容式和投影电容式等。  As capacitive, surface capacitive, and projected capacitive type. 作为投影电容式，主要根据驱动方法的不同，而将投影电容式分为自电容式、互电容式等。 A projection capacitance type, mainly depending on the driving method, and into the capacitive projection self-capacitance, the mutual capacitance and the like. 当使用互电容式时，可以进行同时多点检测，所以是优选的。 When a mutual capacitance can be made multi-point detection, which is preferable. 本发明的一个方式的触摸面板在一对衬底之间包括显示元件及构成触摸传感器的电容器。  The touch panel of one embodiment of the present invention is between a pair of substrates includes a display element and a capacitor constitute a touch sensor. 因此，能够实现薄型且轻量的触摸面板。 Accordingly, it is possible to realize a thin, lightweight touch panel. 另外，构成电容器的一对导电层优选都包括开口。  Further, the capacitor constituting the pair of conductive layer preferably comprises an opening. 优选采用该开口与显示元件互相重叠的结构。 The opening is preferably used with the display element overlap one another structure. 由此，因为来自显示元件的光通过该开口发射到外部，所以构成电容器的一对导电层不需要具有透光性。 Accordingly, since the light from the display element through the opening emitted to the outside, the pair of conductive layers constituting the capacitor need not have a light-transmitting property. 也就是说，作为构成电容器的一对导电层的材料，可以使用比透光性导电性材料的电阻低的金属或合金等材料。 That is, as the material constituting the pair of conductive layers of the capacitor, and the like may be used a lower resistance than the metal or alloy material of a light-transmitting conductive material. 因此，检测信号的延迟等影响被减少，从而可以提高触摸面板的检测灵敏度。 Thus, the influence of the detection signal delay is reduced, thereby improving the detection sensitivity of the touch panel. 再者，上述结构不仅可以应用于便携式设备，还可以应用于电视等大型显示装置。 Further, the above structure can be applied not only to the portable device, may also be applied to large-sized display device like a television. 另外，因为可以将低电阻材料用于一对导电层，所以可以使其线宽极小。  Further, since a low resistance material can be used for a pair of conductive layers, it can be extremely small width. 也就是说，可以使从显示面一侧观看（俯视）时的一对导电层的表面积小。 That is, the surface area of ​​a pair of conductive layers when viewed (plan) from the display surface side small. 其结果是，可以抑制驱动像素时产生的噪声的影响，从而可以提高检测灵敏度。 As a result, the influence of noise generated when driving the pixels can be suppressed, thereby improving the detection sensitivity. 再者，即使在构成触摸传感器的电容器及构成像素的显示元件接近地配置且夹在两个衬底之间时，也可以抑制检测灵敏度的降低。 Further, even when a capacitor touch sensor and display element arranged pixels close and sandwiched between two substrates, can be suppressed to reduce detection sensitivity. 因此，可以减小触摸面板的厚度。 Thus, it is possible to reduce the thickness of the touch panel. 尤其是，通过将具有柔性的材料用于一对衬底，可以实现薄、轻量且具有柔性的触摸面板。 In particular, by a flexible material having a pair of substrates, it can achieve a thin, lightweight and flexible touch panel. 当使用投影电容式触摸传感器时，第一导电层的电阻与电容的积（也称为CR值、 时间常数）越小越好。  When using a projection capacitive touch sensor, the resistance and capacitance product of the first conductive layer (also referred to as the CR time constant), the better. 同样地，第二导电层的CR值也越小越好。 Similarly, CR value of the second conductive layer is also small as possible. 例如，当使用投影互电容式触摸传感器时，一个导电层被施加脉冲电压，检测流在另一个导电层的电流。  For example, when projected mutual capacitance touch sensor, a pulse voltage is applied to the conductive layer, detecting current flowing in the other conductive layer. 此时，检测电流的导电层的CR值越小，越可以使基于触摸动作的有无的电流的变化大。 At this time, the current value detected CR conductive layer is smaller, the change can be made based on the presence or absence of large current touch action. 另外，被施加脉冲电压的导电层的CR值越小，脉冲电压的波形的延迟越被抑制，从而可以提尚检测灵敏度。 Further, the conductive layer is CR applying a pulse voltage the smaller the delay of the pulse voltage waveform is suppressed, so that the detection sensitivity can be improved yet. 另一方面，当使用投影自电容式触摸传感器时，一对导电层都被施加脉冲电压，检测此时流在导电层的电流。  On the other hand, when the projector using a self-capacitance touch sensor, a pair of conductive layers are applied to the pulse voltage, a current flow is detected at this time the conductive layer. 因此，导电层的CR值越小，越能够提高检测灵敏度。 Accordingly, the conductive layer may CR is smaller, the detection sensitivity can be improved. 例如，第一导电层或第二导电层的CR值优选大于Os且为IX 10 4S以下，更优选大于Os且为5X10 5S以下，进一步优选大于Os且为5X10 6S以下，还优选大于Os且为5X10 7S以下，也优选大于Os且为2X10 7S以下。  For example, the value CR of the first conductive layer or the second conductive layer is preferably greater than Os and IX 10 4S or less, and is more preferably greater than 5X10 5S Os or less, and is more preferably greater than 5X10 6S Os or less, further preferably greater than 5X10 7S and is Os or less, and is also preferably greater than 2X10 7S Os or less. 尤其是，通过将CR值设定为IX 10 6S以下，可以在抑制噪声的影响的同时实现高检测灵敏度。 In particular, by setting the CR value less IX 10 6S, high detection sensitivity can be achieved while suppressing the influence of noise. 另外，第一导电层或第二导电层优选具有包括多个开口的网格状。  Further, the first conductive layer or second conductive layer preferably has a lattice comprising a plurality of openings. 此时，第一导电层或第二导电层的开口率（每单位面积的第一导电层或第二导电层的开口面积的比例）优选至少高于触摸面板所包括的像素的开口率。 At this time, the first conductive layer or the aperture ratio (the ratio of the opening area of ​​the first conductive layer or second conductive layer per unit area) of the second conductive layer is preferably at least higher than the aperture ratio of the touch panel includes a pixel. 通过使第一导电层或第二导电层的开口率高于像素的开口率，可以防止来自像素的光被第一导电层或第二导电层遮挡的情况。 By opening the first conductive layer or second conductive layer a high opening ratio of the pixel, the pixel can be prevented when the light is blocked from the first conductive layer or second conductive layer. 另外，当通过使开口的尺寸较大而提高开口率时，因为第一导电层或第二导电层与被检测体重叠的面积减少，所以有时检测灵敏度下降。 Further, when the aperture ratio is increased by the large size of the opening, since the first conductive layer or second conductive layer overlaps with the reduction in the size of the detection, the detection sensitivity may decrease. 因此，优选以开口面积小于被检测体的面积的方式设定开口率及开口图案。 Thus, the opening is preferably smaller than the area of ​​the sample and setting of the aperture ratio of the opening pattern. 例如，第一导电层或第二导电层的开口率优选为20 %以上且低于100 %，更优选为30 %以上且低于100 %，更优选为50 %以上且低于100 %。  For example, the opening of the first conductive layer or second conductive layer is preferably 20% or more and less than 100%, more preferably 30% or more and less than 100%, more preferably 50% or more and less than 100 %. 本发明的一个方式的触摸面板的检测灵敏度高，在驱动显示面板时触摸面板不容易受噪声的影响，所以可以减少触摸面板自身的厚度。  The detection sensitivity of the touch panel of one embodiment of the present invention, at the time of driving the display panel of the touch panel is not easily affected by noise, it is possible to reduce the thickness of the touch panel itself. 例如，可以将构成触摸面板的一对衬底间的距离缩小到50nm以上且100 μ m以下，优选为200nm以上且50 μ m以下，更优选为500nm以上且20 μm以下。 For example, the distance between the pair constituting the substrate of the touch panel is reduced to 100 μ m or more and 50nm or less, preferably 50 μ m or more and 200nm or less, more preferably 500nm or more and 20 μm or less. 此时，通过将具有柔性的衬底用于一对衬底，可以实现具有柔性且耐弯曲性高的触摸面板。 In this case, a flexible substrate having a pair of substrates, and can realize a high resistance to bending of the flexible touch panel. 尤其是，优选将第一导电层或第二导电层与位于更靠近设置有显示元件的衬底一侧的导电层之间的距离设定为例如25nm以上且50 μπι以下，优选为50nm以上且10 μπι以下，更优选为50nm以上且5 μ m以下。  It is particularly preferable first conductive layer or second conductive layer is located closer to the set distance is provided between the conductive layer on one side of the substrate, for example, a display element 50 μπι or more and 25nm or less, preferably 50nm or more and 10 μπι or less, more preferably 5 μ m or more and 50nm or less. 另外，优选在构成电容器的一对电极与显示面一侧的衬底之间设置遮光层。  Further, the light shielding layer is preferably provided between the substrate and a pair of electrodes constituting the display surface side of the capacitor. 遮光层例如也可以具有抑制邻接像素间的混色的功能。 For example, the light-shielding layer may have a function of suppressing the color mixture between adjacent pixels. 通过将遮光层配置在比一对电极更靠近显示面，防止该一对电极反射外光，而不会从显示面一侧看到该一对电极，所以能够提高触摸面板的显示质量。 By the light shielding layer disposed over the pair of electrodes closer to the display surface, to prevent reflection of external light from the electrode pair without seeing the pair of electrodes from the display surface side, it is possible to improve the display quality of the touch panel. 在从显示面一侧观看（俯视）时，构成电容器的一对电极及遮光层优选配置在邻接像素间。  When viewing (plan view) from the display surface side, a pair of electrodes constituting the capacitor and the light-shielding layer is preferably arranged between adjacent pixels. 另外，构成电容器的一对电极的各宽度优选小于遮光层的宽度或两个像素的间隔。 Further, preferably the width of each of the pair of electrodes of the capacitor constituting the light shielding layer is smaller than the width or spacing of two pixels. 下面，参照附图说明本发明的一个方式的更具体的结构例子。  The following describes a more specific configuration example with reference to one embodiment of the present invention. 图IA是本发明的一个方式的触摸面板模块10的透视示意图。  FIG IA is a schematic perspective view of one embodiment of a touch panel module 10 of the present invention. 另外，图IB是将触摸面板模块10展开时的透视示意图。 Further, FIG. IB is a schematic perspective view of the touch panel when the module 10 is deployed. 在触摸面板模块中，触摸传感器模块20与显示面板30重叠。 In the touch panel module, the touch sensor module 20 and the display panel 30 overlap. 在触摸传感器模块20中，在衬底21上设置有FPC41。  In the touch sensor module 20, provided on the substrate 21 FPC41. 在衬底21的显示面板30 - 侧的面上包括触摸传感器22。 In the display panel 30 of the substrate 21 - side surface 22 includes a touch sensor. 触摸传感器22包括导电层23、导电层24及导电层25。 The touch sensor 22 includes a conductive layer 23, conductive layer 24 and the conductive layer 25. 此外，触摸传感器模块20包括将上述导电层与FPC41电连接的布线29。 Further, the touch sensor module 20 includes the wiring 29 and the conductive layer is electrically connected to FPC41. FPC41具有对触摸传感器22供应来自外部的信号的功能。 FPC41 function has a supply signal from the touch sensor 22 on the outside. 或者，FPC41具有将来自触摸传感器22的信号输出到外部的功能。 Alternatively, the FPC 41 has a function of a signal output from the touch sensor 22 to the outside. 注意，有时将不包括FPC41的衬底简单地称为触摸传感器、触摸传感器衬底或触摸传感器面板。 Note that not include FPC41 sometimes referred to simply as a substrate a touch sensor, a touch sensor or a touch sensor panel substrate. 触摸传感器22包括多个导电层23、多个导电层24及多个导电层25。  The touch sensor 22 includes a plurality of conductive layers 23, a plurality of conductive layers 24 and a plurality of conductive layer 25. 各导电层23 具有向一个方向延伸的形状。 Each conductive layer 23 has a shape extending in one direction. 多个导电层23被配置在与延伸方向交叉的方向上。 A plurality of conductive layer 23 is disposed in a direction crossing the extending direction. 此外，以位于邻接的两个导电层23之间的方式设置有多个导电层24。 Further, in the embodiment 23 is located between two adjacent conductive layers 24 is provided with a plurality of conductive layers. 导电层25将沿着与导电层23的延伸方向交叉的方向邻接的两个导电层24电连接。 The electrically conductive layer 25 adjoining along a direction intersecting the extending direction of the conductive layer 23 of the two conductive layers 24 are connected. 也就是说，沿着与导电层23的延伸方向交叉的方向配置的多个导电层24由多个导电层25电连接。 That is, a plurality of conductive layers arranged in a direction intersecting the extending direction of the conductive layer 23, 24 are connected by a plurality of electrically conductive layer 25. 在此，导电层23及导电层25在一个区域中互相重叠。  Here, the conductive layer 23 and the conductive layer 25 overlap each other in a region. 导电层23、导电层25以及导电层23与导电层25之间的用作介电质的绝缘层构成电容器11。 Conductive layer 23, conductive layer 25 and conductive layer 23 serving as the dielectric insulating layer 25 between the conductive layer 11 constitute a capacitor. 因此，导电层23及导电层25分别具有用作电容器11的一对电极的部分。 Accordingly, the conductive layer and the conductive layer 23 has a portion 25 are a pair of electrodes serving as capacitor 11. 注意，虽然在此采用了由导电层25将多个导电层24电连接的结构，但是也可以采用具有与导电层23同样地使导电层24为向一个方向延伸的形状并在导电层23与导电层24之间包括绝缘层的结构，而不设置导电层25。  Note that, although the structure using the conductive layers 25 electrically connected to the plurality of conductive layers 24, may be employed in the same manner with the conductive layer 24 so as to extend in one direction the shape of the conductive layer 23 and conductive layer 23 between the structure including the conductive layer 24 and the insulating layer, the conductive layer 25 is not provided. 此时，导电层24的一部分被用作电容器11 的一个电极。 At this time, part of the conductive layer 24 is used as one electrode of the capacitor 11. 另外，作为导电层23、导电层24、导电层25等导电膜（即，能够用于构成触摸面板的布线及电极的材料），例如优选使用电阻值低的材料。  Further, the conductive layer 23, conductive layer 24, the conductive film conductive layer 25 and the like (i.e., can be used for a material constituting the wirings and electrodes of a touch panel), such as a low resistance material is preferably used. 作为一个例子，可以使用银、铜、铝等金属。 As an example, silver, copper, aluminum and other metals. 再者，可以使用由多个极细（例如，直径为几纳米）的导电体构成的金属纳米线。 Further, it is possible to use a plurality of fine metal nanowires (e.g., a few nanometers in diameter) made of a conductive material. 作为一个例子，可以使用Ag纳米线、Cu纳米线、Al纳米线等。 As one example, it may be used Ag nanowires, Cu nanowires, Al nanowires. 当使用Ag纳米线时，例如可以实现89%以上的光透过率、40 Ω / □以上且100 Ω / □以下的薄膜电阻值。 When using Ag nanowires, can be achieved e.g. 89% light transmittance, 40 Ω / □ or more and 100 Ω / □ or less in sheet resistance. 由于这种金属纳米线的透过率较高，因此也可以对用于显示元件的电极（例如，像素电极或共通电极）使用该金属纳米线。 Due to the high permeability of such a metal nanowire, and therefore may be used for the metal nanowires electrode element (e.g., a pixel electrode or a common electrode) for display. 在显示面板30中，在衬底31上包括显示部32。  In the display panel 30 on the substrate 31 includes a display unit 32. 显示部32包括配置为矩阵状的多个像素33。 A display section 32 arranged in a matrix comprising a plurality of pixels 33. 像素33优选包括多个子像素。 Pixel 33 preferably includes a plurality of sub-pixels. 各子像素包括显示元件。 Each sub-pixel includes a display element. 另外，在衬底31上优选包括与显示部32内的像素33电连接的电路34。 Further, on the substrate 31 preferably comprises a pixel circuit of a display unit 33 connected electrically in 32 34. 电路34可以使用例如用作栅极驱动电路的电路。 For example, circuit 34 may use the circuit as a gate driving circuit. FPC42具有向显示部32和电路34中的至少一个供应来自外部的信号的功能。 FPC42 has a function of a signal from the outside to the display unit 32 and the circuit 34 in at least one supply. 优选在衬底31或FPC42上安装用作源极驱动电路的1C。 Is preferably mounted on the substrate 31 serving as a source electrode or FPC42 1C driving circuit. 可以以COG方式或COF方式将IC 安装到衬底31上。 COG-COF may manner or IC is mounted onto the substrate 31. 或者，可以在衬底31上设置安装有IC的FPC42、TAB或TCP等。 Alternatively, the installation may be provided with an IC of FPC42, TAB or TCP on the substrate 31. 另外， 有时将在显示面板30上安装有IC或FPC等连接器的物件称为显示面板模块。 Further, the display may be mounted in an IC or the like objects called FPC connector panel 30 of the display panel module. 本发明的一个方式的触摸面板模块可以通过触摸传感器22输出基于进行触摸动作时的电容变化的位置信息。  An embodiment of the present invention may be a touch panel module position information of a capacitance change when a touch operation based on the output of the touch sensor 22 through. 此外，可以通过显示部32显示图像。 Further, the image 32 displayed by the display unit. 图2A是示出触摸传感器22的一部分的俯视示意图（平面示意图）。  FIG. 2A is a schematic diagram illustrating a top view (plan view) of a portion of a touch sensor 22. 此外，图2B 是将图2A中的由点划线圈出的区域放大的俯视示意图。 Further, FIG. 2B is a region from the dashed-dotted line in FIG. 2A is an enlarged top view. 如图2A及图2B所示，导电层23优选以与导电层25交叉的部分的宽度变小的方式具有一部分变细的形状。  FIGS. 2A and 2B, conductive layer 23 is preferably in a width of a portion intersecting with the conductive layer 25 becomes smaller portion having a tapered shape. 由此，可以降低电容器11的电容值。 This can reduce the capacitance value of the capacitor 11. 例如，当触摸传感器为自电容式时，电容器11的电容值越小，越能够提高检测灵敏度。 For example, when the touch sensor is a self-capacitance, the capacitance value of the capacitor 11 is smaller, the detection sensitivity can be improved. 另外，优选在邻接的导电层23与导电层24之间包括与它们电绝缘的导电层26。  Further, preferably between the adjacent conductive layer 23 and conductive layer 24 includes a conductive layer 26 are electrically insulating. 通过包括导电层26,可以抑制在触摸传感器22中形成较薄的部分。 By comprising the conductive layer 26 can be suppressed thin part 22 is formed in the touch sensor. 例如，当导电层23与导电层24形成在同一平面上时，通过设置以同样的方式形成的导电层26,可以提高在这些导电层的形成工序之后形成的薄膜的覆盖性，而可以使表面平坦化。 For example, when the conductive layer 23 is formed on the same plane and the conductive layer 24, by providing the conductive layer 26 in the same manner is formed, can improve the coverage of the film formed after the step of forming the conductive layer, and the surface can flattened. 另外，通过使触摸传感器22的厚度均匀，透过触摸传感器22的来自像素的光的亮度不均匀被降低，而可以实现显示质量得到提高的触摸面板。 Further, by the touch sensor 22 of uniform thickness, unevenness is reduced from a luminance of the light transmitted through the pixels of the touch sensor 22, the display quality can be realized with improved touch panel. 另外，图2C示出在不同的平面上形成导电层23与导电层24并不设置导电层25 的情况。  Further, FIG. 2C shows a case of forming the conductive layer 23 and conductive layer 24 is not disposed in the conductive layer 25 on different planes. 此时，导电层26既可以在与导电层23或导电层奴相同的平面上形成，又可以在与导电层23或导电层24不同的平面上形成。 At this time, the conductive layer 26 may be formed on the conductive layer 23 in the same plane as the conductive layer or slave, and may be formed in the conductive layer 23 or conductive layer 24 different planes. 注意，当无需设置导电层26时，可以不设置。 Note that, when the conductive layer 26 without setting, may not be provided. 图3A示出包括多个导电层23及多个导电层24的触摸传感器22的电路图的一个例子。  Figure 3A shows a circuit diagram of one example of a touch sensor comprises conductive layers 22, 24 of the plurality of conductive layers 23 and a plurality. 虽然在图3A中为简单起见示出了包括6个导电层23及6个导电层24的结构，但是并不局限于该个数。 Although for simplicity in FIG. 3A shows the structure 6 comprises a conductive layer 23 and conductive layer 24 is six, but is not limited to this number. 在一个导电层23与一个导电层24之间形成有一个电容器11。  In a conductive layer 23 and a conductive layer 11 is formed between a capacitor 24. 因此，电容器11被配置为矩阵状。 Thus, the capacitor 11 is arranged in a matrix. 当触摸传感器为投影自电容式时，分别对导电层23及导电层24以进行扫描的方式供应脉冲电压，并检测此时流在自身中的电流的值。  When the touch-sensor is projected from a capacitance type, respectively, the conductive layer 23 and the conductive layer 24 to scan pulse voltage supply, and the detection value of the current flow in the case itself. 当被检测体接近时该电流的大小产生变化，所以可以通过检测该电流的值的差来获取被检测体的位置信息。 When approaching the size of the sample to produce a change in current, it is possible to acquire the position information to be detected by detecting the difference between the value of the current. 此外，当触摸传感器为投影互电容式时，对导电层23和导电层24中的任一个以进行扫描的方式供应脉冲电压，并通过检测流在另一个中的电流获取被检测体的位置信息。 Further, when the touch sensor is projected mutual capacitance, position information of any of the conductive layer 23 and conductive layer 24 in a manner to scan pulse voltage supply, and acquires the sample by detecting a current flow in the other of . 导电层23或导电层24的CR值优选大于Os且为IX 10 4S以下，更优选大于Os且为5X10 5S以下，更优选大于Os且为5X10 6S以下，更优选大于Os且为5X10 7S以下，更优选大于Os且为2X10 7S以下。  CR value of the conductive layer 23 or conductive layer 24 is preferably greater than Os and is 10 4S less IX, more preferably greater than Os and is 5X10 5S or less, and more preferably greater than Os and is 5X10 6S or less, and more preferably greater than Os and is 5X10 7S or less, and more preferably greater than 2X10 7S and is Os or less. 导电层23及导电层24优选分别具有包括多个开口的格子状或网状（网格状）。  The conductive layers 23 and 24 preferably comprises conductive layers having a lattice or mesh (lattice) of the plurality of openings. 图3B示出导电层23的一部分的顶面形状的例子。 FIG 3B shows an example of a portion of a top surface shape of the conductive layer 23. 图3B所示的导电层23具有包括横方向的间隔Pl及纵方向的间隔P2的格子状。 Lattice-shaped conductive layer interval P2 shown in  FIG 3B 23 having a longitudinal direction and comprising spaced Pl lateral direction. 虽然在图3B中间隔Pl与间隔P2为相同程度，但是也可以互不相同。 Although the same extent, but may be different in interval Pl and P2 in FIG. 3B the same interval. 例如，可以如图3C所示那样使横方向的间隔P1大于纵方向的间隔P2，也可以使纵方向的间隔P2大于横方向的间隔P1。 For example, P2 may be spaced so that the horizontal direction is greater than the pitch P1 in the longitudinal direction as shown in FIG. 3C, the vertical direction may be that the interval P1 and the interval P2 is greater than the horizontal direction. 导电层24也是同样的。 24 is the same conductive layer. 导电层23或导电层24优选具有其开口率（每单位面积的导电层23或导电层24 的开口面积的比例）优选为例如20 %以上且低于100 %，更优选为30 %以上且低于100 %， 进一步优选为50 %以上且低于100 %的区域。  The conductive layer 23 or conductive layer 24 preferably has an opening ratio (proportional open area per unit area of ​​the conductive layer 23 or conductive layer 24) is preferably, for example, 20% or more and less than 100%, more preferably 30% or more and less than 100%, more preferably 50% or more and less than 100% of the area. 例如可以由间隔PU间隔P2及导电层的宽度容易地计算出开口率。  P2 and width may be, for example, a conductive layer spaced apart by a spacer PU aperture ratio easily calculated. 或者，在图3B 所示的周期单位的区域R中，可以根据区域R的面积与包含在区域R中的导电层23的面积的比计算出开口率。 The ratio of the area of ​​the conductive layer 23 or, in a region R shown in FIG. 3B period unit, the area of ​​the region R may be included in the region R calculated opening ratio. 在此，区域R是导电层23的周期性图案的周期单位的区域，通过将区域R周期性地排列在纵方向及横方向上，可以形成导电层23的图案。 Here, the unit region R is a region of the period of the periodic pattern of the conductive layer 23, the region R by periodically arranged in the longitudinal direction and the transverse direction, the patterned conductive layer 23 may be formed. 在导电层23及导电层24中，构成格子的图案的宽度例如优选为50nm以上且100 μπι以下，更优选为1 μπι以上且50 μπι以下，更优选为1 μπι以上且20 μπι以下。  In the conductive layer 23 and conductive layer 24, constituting the width of the pattern of the grid, for example, is preferably 50nm or more and 100 μπι or less, more preferably 1 μπι and 50 μπι or less, more preferably 1 μπι and 20 μπι or less . 如此， 通过减小构成格子的图案宽度，在如后面所述将开口与像素重叠时，能够缩小像素的间隔， 所以能够实现具有更高的清晰度及开口率的触摸面板。 Thus, by reducing the width of the pattern constituting the lattice, as described later, when the opening overlaps the pixel, the pixel interval can be reduced, it is possible to realize a touch panel having a higher resolution and aperture ratio. 图4Α是将图2Β中的以点划线示出的区域进一步放大的俯视示意图。  FIG 4Α FIG 2Β is the schematic plan view to further enlarged dot chain line region shown. 如图4Α所示，导电层23及导电层24优选都具有格子状（也称为网状、网格状）。 As shown in  FIG 4alpha, conductive layer 23 and conductive layer 24 preferably has a lattice-like (also referred to as a mesh, grid-like). 也就是说，导电层23及导电层24优选都包括多个开口（开口23a及开口24a)。 That is, the conductive layer 23 and conductive layer 24 preferably comprises a plurality of openings (the opening 23a and the opening 24a). 如后面所述，当以互相重叠的方式设置该开口与像素时，来自像素所包括的显示元件的光不被导电层23及导电层24遮挡，或者不发生因光透过导电层23及导电层24而导致的光的亮度降低。 As described later, in order to overlap each other when the opening provided with the pixel, the optical display element comprises a pixel 24 is not blocked from the conductive layer 23 and the conductive layer, or does not occur due to the light transmission conductive layer 23 and the conductive layer 24 leads to decrease in brightness of the light. 其结果是，可以以不使像素的开口率或光提取效率降低的方式在触摸面板中使用触摸传感器22。 As a result, it is possible not to make the aperture ratio of pixels or decrease the light extraction efficiency using the touch sensor in the touch panel 22. 同样地，导电层25也优选采用不与像素重叠的形状。 Similarly, conductive layer 25 is also preferably employed does not overlap with the pixel shape. 在图4A所示的结构中，示出导电层24与导电层25通过设置在其间的绝缘层中的开口27电连接的例子。  In the configuration shown in Figure 4A, there is shown an example of a conductive layer 24 conductive layer 25 is electrically connected through an opening 27 provided therebetween in the insulating layer. 在导电层23与导电层25互相重叠的部分形成有电容器11。 In the conductive layer 23 is formed with a portion 25 overlapping the conductive layer capacitor 11. 如图4A所示，作为与导电层23交叉的导电层25的形状，优选包括两个以上的在与导电层23交叉的方向上具有长边的带状部分。 As shown in  Figure 4A, as the shape of the conductive layer 23 intersect the conductive layer 25, preferably comprising two or more band-like portion having a long side in a direction intersecting with the conductive layer 23. 如此，通过设置多个带状部分，可以降低导电层24与导电层25的接触电阻。 Thus, by providing a plurality of strip-like portion can be reduced and the contact resistance of the conductive layer 24 conductive layer 25. 此外，即使导电层25的一部分断线或发生导电层25 与导电层24的连接部接触不良的情况，也可以保持导电层25与导电层24的电连接。 Further, the connecting portion where the conductive layer 25 and conductive layer 24 even if a part of the contact failure or disconnection of the conductive layer 25 occurs, may remain electrically conductive layer 25 and the conductive layer 24 is connected. 尤其是，当弯折来使用触摸面板时，有可能发生这种断线或接触不良等不良现象，所以优选使导电层25为上述形状。 In particular, when the touch panel is bent used, it is possible that the disconnection or contact failure and other undesirable phenomena occur, it is preferable that the conductive layer 25 in the above shape. 图4B示出增大导电层23与导电层25互相重叠的面积的情况的例子。  FIG. 4B illustrates an example where the conductive layer 23 increases and the conductive layer 25 of the overlapping area. 如此，通过使导电层23与导电层25在其交叉的部分以外的部分也重叠，可以增大电容器11的电容值。 Thus, by making the conductive layer 23 and other than the portion thereof intersecting portion of the conductive layer 25 may overlap, you can increase the capacitance value of the capacitor 11. 例如，可以通过调整导电层23与导电层25互相重叠的面积、绝缘层的介电常数或厚度适当地改变电容器11的电容值。 For example, the conductive layer 23 and the overlapping area 25, the dielectric constant or the thickness of the insulating layer is appropriately changing the capacitance value of the capacitor 11 by adjusting the conductive layer. 另外，图4B示出配置图2A至图2C所示的导电层26的例子。  Further, FIG. 4B illustrates an example of the conductive layer 26 of FIGS. 2A to 2C configuration shown. 如图4B所示，导电层26优选采用包括多个岛状的图案的结构。 4B, the conductive layer 26 preferably comprises a plurality of island-like structure using a pattern. 另外，图5A示出在图4A所示的结构中不设置导电层25的情况的例子。  Further, FIG 5A illustrates an example where the conductive layer 25 is not provided in the structure shown in Fig. 4A. 在图5A 中，导电层23与导电层24互相重叠。 In Figure 5A, the conductive layer 23 and conductive layer 24 overlap each other. 另外，图5B是在图4B所示的结构中不设置导电层25 的情况的例子。 Further, FIG. 5B is not provided to the conductive layer 25 in the structure example shown in FIG. 4B. 图6示出导电层23与导电层24的边界部分的例子。  FIG. 6 illustrates an example of a boundary portion of the conductive layer 24 conductive layer 23. 如图6所示，在边界中也可以形成被导电层23的一部分与导电层24的一部分围绕的开口22a。 6, the opening 22a may be formed by the conductive layer 24 with a portion of the conductive layer 23 around the boundary. 通过采用这种结构，能够使导电层23与导电层24的距离极小，并可以使导电层23与导电层24的互电容大。 With such a configuration, the conductive layer 23 and the minimum distance from the conductive layer 24 and conductive layer can be made large mutual capacitance 23 and the conductive layer 24. 尤其是，当采用互电容式时，优选使两个导电层的距离小，而提高相互电容。 Particularly, when using mutual capacitance, the distance is preferably small two conductive layers, each capacitance is increased. 图7A至图9E是示出从显示面一侧观看时的像素及像素所包含的子像素与导电层23的位置关系的示意图。  FIGS. 7A to 9E are schematic diagrams illustrating the positional relationship between the conductive layer and the pixel sub-pixel and the pixel when viewed from a display surface side included 23. 注意，虽然在此以导电层23为例进行说明，但是导电层24及导电层25也可以采用同样的结构。 Note that, although the conductive layer 23 as an example, but the conductive layer 24 and the conductive layer 25 may employ the same configuration. 图7A示出像素33由子像素33R、子像素33G及子像素33B的三个子像素构成的例子。  FIG 7A illustrates an example of sub-pixels 33 pixels 33R, 33G sub-pixel and sub-pixel of three subpixels constituting the 33B. 例如，子像素33R、子像素33G、子像素33B分别具有呈现红色、绿色、蓝色的功能即可。 For example, sub-pixel 33R, the sub-pixel 33G, 33B each sub-pixel has a red, green, blue function. 注意，像素33所包括的子像素的个数及子像素的颜色的种类不局限于此。 Note that, depending on the color of the pixel 33 comprises a number of sub-pixels and sub-pixel is not limited thereto. 像素33所包含的多个子像素各包括显示元件。  plurality of sub-pixels included in each pixel 33 includes a display element. 作为显示元件，典型地可以举出有机EL元件等发光元件、液晶元件、通过电泳方式或电子粉流体（在日本注册的商标）方式等进行显示的显示元件（也称为电子墨水）、快门方式的MEMS显示元件、光干涉方式的MEMS显示元件等。 As the display element, the light emitting element may typically include an organic EL element, a liquid crystal element, a display element displayed by electrophoresis or electronic liquid powder (Japanese registered trademark) and the like (also referred to as electronic ink), the shutter mode the MEMS display elements, the optical interference mode MEMS display elements and the like. 此外，除了该显示元件，子像素也可以包括晶体管、电容器及将晶体管与电容器电连接的布线等。 Further, in addition to the display device, the sub-pixel may also include a transistor, a capacitor and the transistor to the capacitor wiring and other electrical connections. 此外，本实施方式也可以用于透射型液晶显示器、半透射型液晶显示器、反射型液晶显示器、直观型液晶显示器等。  Further, the present embodiment may be used for a transmission type liquid crystal display, a semi-transmissive liquid crystal display, a reflective type liquid crystal display, a direct-view type liquid crystal display or the like. 注意，当实现半透射型液晶显示器或反射型液晶显示器时，使像素电极的一部分或全部具有反射电极的功能，即可。 Note that, when implementing the transflective type liquid crystal display or a reflective liquid crystal display, a part or all of the functions of an electrode having a reflective pixel electrode can. 例如，使像素电极的一部分或全部包含铝、银等，即可。 For example, all or a portion containing aluminum, silver or the like of the pixel electrode can. 并且，此时也可以将SRAM等存储电路设置在反射电极下。 And, at this time may be an SRAM memory circuit is provided in the reflective electrode. 由此可以进一步降低功耗。 Whereby power consumption can be further reduced. 另外，适用于所采用的显示元件的结构可以从各种像素电路选择而使用。 Further, the display element suitable for a structure employed may be selected from various pixel circuits. 在图7A所示的结构中，导电层23所包括的开口23a与子像素33R、子像素33G及子像素33B的三个子像素互相重叠。  In the configuration shown in FIG. 7A, the opening 23a of the conductive layer 23 comprises sub-pixels 33R, 33G sub-pixel and sub-pixel of three sub-pixels 33B overlap each other. 如此，导电层23的开口23a优选与一像素33重叠。 Thus, the conductive layer 23 and the opening 23a is preferably a 33-pixel overlap. 换言之，像素33的排列的间隔优选与导电层23的晶格的开口的间隔一致。 In other words, consistent with the lattice spacing of the spaced openings and the conductive layer is preferably arranged in the pixel 33 23. 通过采用这种结构，可以使每个像素33的周边部的结构（例如，像素及像素周边的膜结构、构成的膜的厚度或表面的凹凸形状等）相同，所以能够抑制显示不均匀的发生。 With such a structure, the structure of each pixel of the surrounding portion 33 (e.g., a film structure of the pixel and the surrounding pixels, the surface irregularities of the film thickness or the like constituting) the same, it is possible to suppress the occurrence of unevenness of display . 另外，如图8所示，例如可以采用两个以上的像素33与一开口23a互相重叠的结构。  Further, as shown in FIG. 8, for example, two or more pixels 33 with an opening 23a overlap structure employed. 图7B示出一开口23a与一子像素互相重叠的例子。  FIG 7B illustrates an example of an opening 23a and a sub-pixel overlapped with each other. 如此，通过采用在俯视图中一像素33中的两个子像素之间配置有导电层23的结构，可以降低导电层23的布线电阻。 Thus, by adopting the structure of the conductive layer 23 is disposed between two sub-pixels of a pixel 33 in plan view, it can reduce the wiring resistance of the conductive layer 23. 其结果是，可以提高触摸面板的检测灵敏度。 As a result, it is possible to improve the detection sensitivity of the touch panel. 图7C示出图7A所示的结构中的像素33还包括子像素33Y的情况的例子。  FIG. 7C illustrates an example of the configuration shown in FIG. 7A pixel 33 further includes a case where the sub-pixels 33Y. 作为子像素33Y例如可以使用能够呈现黄色的像素。 Sub-pixels may be used, for example, capable of rendering 33Y of yellow pixels. 还可以使用能够呈现白色的像素代替子像素33Y。 You can also use pixel can appear white instead of sub-pixel 33Y. 如此，通过采用包括四种颜色以上的子像素的像素33,可以降低功耗。 Thus, more than 33 including the pixel by using four color sub-pixel, power consumption can be reduced. 此外，在图7D中，示出一开口23a与一子像素互相重叠的例子。  Further, in FIG. 7D, an example is shown with a sub-pixel 23a overlapping an opening. 也就是说，示出在俯视图中在邻接的两个子像素之间配置导电层23的例子。 That is, an example of the conductive layer 23 in plan view is disposed between two adjacent sub-pixels. 注意，虽然未图示，但是也可以采用四个子像素中的两个子像素与一开口23a重叠的结构。 Note that, although not shown, two sub-pixels but four sub-pixels overlap with the opening 23a a structure may be employed. 虽然在图7A至图7D中示出了将各子像素配置为条纹（stripe)状的例子，但是如图7E至图7G所示，例如也可以采用在一个方向上交替地配置两种颜色的子像素的结构。  While the configuration illustrates each sub-pixel is an example of stripes (stripe) in the form of FIGS. 7A to 7D, but as shown in Figure 7E to 7G, for example, may be used in one direction are alternately arranged two structural sub-pixel colors. 图7E示出包括四个子像素的像素33与一开口23a互相重叠的结构。 7E shows four sub-pixel structure 33 comprises an opening 23a overlapped with each other. 此外，图7F示出邻接的两个子像素与一开口23a互相重叠的结构。 Further, FIG. 7F shows two adjacent sub-pixel structure with an opening 23a overlapped with each other. 另外，图7G示出一子像素与一开口23a互相重叠的结构。 Further, FIG. 7G shows a structure of a sub-pixel and the opening 23a overlapping each other. 另外，像素33所包括的子像素的大小（例如有助于显示的区域的面积）也可以不同。  Further, the size of the sub-pixel 33 comprises (e.g., contributes to display area of ​​the region) may be different. 例如可以使发光率较低的蓝色的子像素较大，且使发光率较高的绿色或红色的子像素小。 For example, possible to lower the rate of the blue light-emitting sub-pixel is large, and so a high rate of green or red light-emitting sub-pixel small. 图9A及图9B示出子像素33B的尺寸大于子像素33R及子像素33G时的例子。  FIGS. 9A and 9B show an example when a sub-pixel 33B is larger than the size of the sub-pixel and sub-pixel 33R 33G. 虽然在此示出子像素33R与子像素33G交替地排列的例子，但是也可以采用如图7A等所示的将三个子像素分别配置为条纹状并使三个子像素的大小各不同的结构。 Although this example illustrates a sub-pixel a sub-pixel 33G and 33R are alternately arranged, but may also be employed in FIG. 7A or the like three sub-pixels are arranged in stripes and the size of each of the three sub-pixels different from the configuration shown. 图9A示出包括三个子像素的像素33与一开口23a互相重叠的结构。  FIG 9A illustrates 23a and 33 overlapping an opening structure includes three sub-pixel. 此外，图9B 示出一开口23a与一子像素33B互相重叠且其他一开口23a与两个子像素（子像素33R及子像素33G)互相重叠的结构。 Further, FIG. 9B shows a sub-pixel 23a and 33B overlap one another and an opening 23a and two sub-pixels (sub-pixel and sub-pixel 33R 33G) overlapping structure opening. 另外，也可以采用如图9C至图9E所示的像素结构。  Further, the pixel structure may be used as shown in FIG. 9C to 9E. 在此，子像素33B被配置为条纹状，子像素33B的列的两侧交替地配置有子像素33R及子像素33G的列。 Here, the sub-pixels are arranged in stripes 33B, 33B on both sides of the column of sub-pixels are alternately arranged with a row of sub-pixels 33R and 33G of the sub-pixel. 此外，一子像素33B的两侧分别配置有一子像素33R及一子像素33G。 In addition, both sides of a sub-pixel 33B are respectively provided with a sub-pixel 33R and a sub-pixel 33G. 图9C示出六个子像素（各颜色分别有两个）与一开口23a互相重叠的结构。  Figure 9C shows six sub-pixels (two for each color, respectively) 23a and a structure of opening overlap each other. 此外，图9D示出三个子像素（各颜色分别有一个）与一开口23a互相重叠的结构。 Further, FIG 9D shows three sub-pixels (one for each color, respectively) 23a and a structure of opening overlap each other. 另外，图9E示出一子像素与一开口23a互相重叠的结构。 Further, FIG. 9E shows a structure of a sub-pixel and the opening 23a overlapping each other. 注意，不局限于在此示出的结构，也可以采用邻接的两个以上的子像素与一开口23a互相重叠的结构。 Note that, not limited to the structure shown here, two or more adjacent sub-pixels 23a and an opening overlapping configuration may be employed. 注意，如上所述，虽然在此说明了导电层23与子像素的位置关系，但是导电层24 及导电层25也是同样的。  Note that, as described above, although described herein the conductive layer 23 and the positional relationship between the sub-pixels, but the conductive layer 24 and conductive layer 25 are the same. 也就是说，本发明的一个方式的触摸面板包括导电层23的开口23a与一个以上的子像素互相重叠的区域，并且包括导电层24的开口24a与其他一个以上的子像素互相重叠的区域。 That is, the touch panel of one embodiment of the present invention comprises sub-pixels 23a and one or more overlapping the opening region of the conductive layer 23, and 24a and the other sub-pixels including at least a region overlapping the opening 24 in the conductive layer. 另外，如上所述，由于各子像素包括显示元件，因此可以说开口23a及开口24a各具有与一个以上的显示元件互相重叠区域。 As described above, since each sub-pixel comprising a display element, it can be said respective opening 23a and the opening 24a having a display element with one or more regions overlap each other. 图IOA示出从显示面一侧观看触摸面板的一部分时的俯视示意图。  FIG IOA schematic plan view showing a portion of the touch panel when viewed from a display surface side. 图IOA示出导电层23、导电层24、导电层25、遮光层53、着色层52R、52G、52B等。 FIG IOA shows the conductive layer 23, conductive layer 24, conductive layer 25, the light shielding layer 53, the colored layers 52R, 52G, 52B and the like. 图IOB示出将图IOA所示的叠层结构展开时的示意图。  FIG IOB shows a schematic view of the laminated structure shown in FIG expanded IOA. 如图IOB所示，在衬底21 与衬底31之间配置有遮光层53、导电层23、导电层24、绝缘层28、导电层25、着色层52R、 52G、52B、显示元件51。 As shown in FIG lOBs, between the substrate 21 and the substrate 31 is disposed a light-shielding layer 53, conductive layer 23, conductive layer 24, insulating layer 28, conductive layer 25, the colored layers 52R, 52G, 52B, the display device 51. 注意，下面，在不区分着色层52R、着色层52G、着色层52B而说明它们之间的共同点时，有时将着色层52R、着色层52G、着色层52B只记作着色层52。  Note that, below, without distinction between the colored layer 52R, 52G colored layer, the colored layer 52B and Description in common between them, are sometimes colored layer 52R, 52G colored layer, the colored layer 52B is only referred to as colored layers 52 . 各着色层52具有使特定波长范围的光透过的功能。  Each of the colored layer 52 has the function of a specific wavelength range of light transmission. 在此，着色层52R使红色的光透过，着色层52G使绿色的光透过，着色层52B使蓝色的光透过。 Here, the red colored layer 52R passes through the color layer of the green light transmitted through 52G, the blue colored layer 52B of light. 通过使显示元件51与着色层52之一互相重叠，可以只使来自显示元件的光中的特定波长范围的光透过到衬底21 一侧。 By causing the display element 51 and the colored layer 52 overlap one another, can only light in a specific wavelength range of light from the display element 21 through the side of the substrate. 遮光层53具有遮挡可见光的功能。  the light-shielding layer 53 having the function of blocking visible light. 遮光层53与邻接的两个着色层52之间的区域重叠。 The light shielding layer 53 overlaps the region between the two adjacent coloring layer 52. 在图IOA和图IOB中，示出遮光层53具有开口并且该开口与显示元件51及着色层52互相重叠的例子。 In FIGS. IOA and IOB, the light-shielding layer 53 is shown having an opening 51 and the opening and with the examples of the colored layer 52 overlapping the display element. 如图IOB所示，遮光层53优选比导电层23、导电层24及导电层25更靠近衬底21。  As shown in FIG lOBs, the light-shielding layer is preferably 53 than the conductive layer 23, conductive layer 24 and conductive layer 25 closer to the substrate 21. 也就是说，遮光层53优选比这些导电层更靠近显示面。 That is, the light blocking layer 53 is preferably closer to the display surface than the conductive layer. 并且，遮光层53优选具有分别与导电层23、导电层24及导电层25互相重叠的区域。 Further, the light shielding layer 53 preferably has a conductive layer 23, respectively, the conductive layer 24 and conductive layer 25 overlapping area. 通过采用这种结构，在从显示面一侧观看时，导电层23、导电层24及导电层25被遮光层53遮挡，所以可以抑制这些导电层被使用者发觉。 With such a structure, when viewed from the display face side, the conductive layer 23, conductive layer 24 and the conductive layer 25 is blocking the light shielding layer 53, it is possible to suppress the conductive layer is found the user. 尤其在作为导电层23、导电层24或导电层25使用金属或合金等反射可见光的材料时是有效的。 In particular, the conductive layer 23, when the conductive layer 24 or conductive layer of material 25 using a reflective metal or alloy such visible light is effective. 在图IOB所示的结构中，导电层23、导电层25以及夹在它们之间的绝缘层28构成电容器11。  In the configuration shown in Fig. IOB, the conductive layer 23, conductive layer 25 interposed therebetween, and the insulating layer 28 constituting the capacitor 11. 另外，夹着导电层23的两个导电层24与导电层25通过设置在绝缘层28中的开口27电连接。 Further, two conductive layers sandwiching the conductive layer 25 is connected to the conductive layer 24 and 23 provided in the electrically insulating layer 27 an opening 28. 另外，在俯视图中，导电层23、导电层24及导电层25优选被设置在邻接的两个显示元件51之间的位置。  Further, in a plan view, the conductive layer 23, conductive layer 24 and the conductive layer 25 is preferably disposed between two adjacent display elements 51 in position. 另外，在俯视图中，导电层23、导电层24及导电层25优选被设置在邻接的两个着色层52之间的位置。 Further, in a plan view, the conductive layer 23, conductive layer 24 and the conductive layer 25 is preferably disposed at a position between adjacent two colored layers 52. 注意，当着色层52的面积或显示元件51的面积大于遮光层53的开口的面积时，也可以具有导电层23、导电层24或导电层25的一部分与显不元件51或着色层52重叠的区域。 Note that, when an area of ​​the colored layer 52 or the display area of ​​the element 51 is larger than the opening of the light shielding layer 53 of the area, the may have a conductive layer 23, a portion of the sensible conductive layer 24 or conductive layer 25 is 51 or a coloring layer without element 52 overlap Area. 虽然在此示出了着色层52比导电层23等更靠近衬底31的例子，但是也可以使着色层52比导电层23等更靠近衬底21。  Although illustrated here is more than the colored layer 52 is conductive layer 23, etc. Examples of the substrate 31 is close to, but may be the colored layer 52 other than the conductive layer 23 closer to the substrate 21. 虽然在图IOA和图IOB中示出了通过导电层25使夹着导电层23配置的两个导电层24电连接的结构的例子，但是也可以如上述那样不设置导电层25。  Although an example is shown by structure that the conductive layer 25 sandwiched between two conductive layers 24 of conductive layer 23 disposed in electrical connection in FIGS. IOA and IOB, but may not be provided as the conductive layer 25 as described above. 图IlA及图IlB示出不包括图IOA及图IOB中的导电层25及开口27时的结构例子。  FIG FIGS IlA and IlB shows an example of a structure not including a conductive layer and FIG FIGS. IOA and IOB 25 of the opening 27. 如图IlB所示，导电层23、导电层25以及夹在它们之间的绝缘层28构成电容器11。 As shown in FIG ILB, the conductive layer 23, conductive layer 25 interposed therebetween, and the insulating layer 28 constituting the capacitor 11. 以上为叠层结构的说明。  The above is described laminated structure. 下面说明触摸面板模块10的截面结构例子。  Examples of a cross-sectional structure of a touch panel module 10 will be described below. 图12A示出本发明的一个方式的触摸面板模块的截面示意图。 It shows a cross section of the embodiment of the present invention, a touch panel module  FIG. 12A. FIG. 图12A所示的触摸面板模块在一对衬底之间包括构成触摸传感器的电容器及显示元件，所以可以实现薄型化。 The touch panel module shown in FIG 12A includes a capacitor touch sensor and a display element between a pair of substrates, it can be thinner. 触摸面板模块具有由粘合层220贴合衬底21与衬底31的结构。  The touch panel module having a structure bonded substrate 21 and the adhesive layer 220 of the substrate 31. 在衬底21上（衬底21的衬底31 -侧）设置有构成触摸传感器的导电层23、导电层24、导电层25、绝缘层28等，还设置有接触部253、着色层52、遮光层53等。 On the substrate 21 (the substrate 21 of the substrate 31 - side) is provided with a conductive layer 23 constitute a touch sensor, the conductive layer 24, conductive layer 25, insulating layer 28 and the like, is also provided with a contact portion 253, the colored layer 52, light-shielding layer 53 and the like. 此外，在衬底31上（衬底31的衬底21 -侧）设置有晶体管201、晶体管202、晶体管203、发光元件204、接触部205等。 Further, on the substrate 31 (the substrate 31 of the substrate 21 - side) is provided with a transistor 201, transistor 202, transistor 203, light emitting element 204, the contact portion 205 and the like. 衬底31上隔着粘合层211包括绝缘层212、绝缘层213、绝缘层214、绝缘层215、 绝缘层216、绝缘层217、绝缘层218、间隔物219、导电层225等。 The  substrate 31 via an adhesive layer 211 includes an insulating layer 212, insulating layer 213, insulating layer 214, insulating layer 215, insulating layer 216, insulating layer 217, insulating layer 218, a spacer 219, a conductive layer 225, etc. .
 绝缘层217上设置有发光元件204。  insulating layer 217 is provided on the light emitting element 204. 发光元件204包括第一电极22 UEL层222、第二电极223 (参照图12B)。 The light emitting element 204 includes a first electrode 22 UEL layer 222, a second electrode 223 (see FIG. 12B). 此外，在第一电极221与EL层222之间设置有光学调整层224。 In addition, the optical adjustment layer 224 is provided between the first electrode 221 and the EL layer 222. 绝缘层218覆盖第一电极221及光学调整层224的端部。 A first insulating layer 218 covers the electrode 221 and the end portion 224 of the optical adjustment layer. 图12A示出像素33包括用来控制电流的晶体管201及用来控制开关的晶体管202 的结构。  FIG. 12A shows a pixel structure 33 comprises means for controlling a current for controlling the switching transistor 201 and the transistor 202. 晶体管201的源极和漏极中的一个通过导电层225与第一电极221电连接。 Transistor 201 source and the drain is electrically connected by a conductive layer 225 and the first electrode 221. 图12A示出在电路34中设置有晶体管203的结构。  FIG 12A shows a structure provided with a transistor 203 in the circuit 34. 在图12A中，示出作为晶体管201及晶体管203使用由两个栅电极夹着形成有沟道的半导体层的结构的例子。  In FIG 12A, shows an example of a transistor 201 and a transistor 203 is formed by using two gate electrodes sandwiching the semiconductor layer of the channel structure. 与其他晶体管相比，这种晶体管能够提高场效应迀移率，而可以增大通态电流（on-state current)。 Compared with other transistors, this field effect transistor can be improved Gan drift rate, and on-state current can be increased (on-state current). 其结果是，可以制造能够高速工作的电路。 As a result, the circuit can operate at high speed can be manufactured of. 再者能够缩小电路部的占有面积。 Further possible to reduce the occupied area of ​​the circuit portion. 通过使用通态电流大的晶体管，即使在使显示面板或触摸面板大型化或高清晰化时布线数增多，也可以降低各布线的信号延迟，而可以抑制显示不均匀。 By using a large on-state current of the transistor, even when the display panel or a touch panel or high definition size increases when the number of wiring, signal delay can be reduced in each wiring, display unevenness can be suppressed. 电路34所包括的晶体管与像素33所包括的晶体管也可以具有相同的结构。 Transistor of the pixel transistor 33 includes a  34 comprises a circuit may also have the same structure. 此外， 电路34所包括的晶体管可以都具有相同的结构或不同的结构。 In addition, circuit 34 includes a transistor may have the same structure or different structures. 另外，像素33所包括的晶体管可以都具有相同的结构或不同的结构。 Further, the pixel includes a transistor 33 may have the same structure or different structures. 发光元件204是顶部发射结构的发光元件，向第二电极223 -侧发射光。  emitting element 204 is a light emitting element having a top emission structure, the second electrode 223 to the - side emitted light. 通过以与发光元件204的发光区域重叠的方式配置晶体管201、晶体管202、电容器及布线等，可以提尚像素33的开口率。 By overlapping the emission region of the light emitting element 204 arranged transistor 201, transistor 202, a capacitor wiring, and the like, can be improved still aperture ratio of the pixel 33. 间隔物219被设置在绝缘层218上，具有调整衬底31与衬底21的距离的功能。  The spacer 219 is disposed on the insulating layer 218, it has a function of adjusting the distance of the substrate 31 and the substrate 21. 虽然图12A示出了间隔物219与衬底21的保护层267之间有间隙的情况，但是如图13所示那样也可以包括衬底21 -侧的结构物的保护层267等与间隔物219上的第二电极223接触的区域。 Although FIG 12A shows a protective layer 219 and the spacer substrate 21 with a gap between the case 267, but also as shown in FIG. 13 may include a substrate 21, - protective layer 267 side of the structure like the spacer second electrode on the area of ​​contact 219,223. 另外，如图13所示，也可以将间隔物219配置在像素33以外的部分，例如与电路34重叠的区域、衬底21或衬底31的周边部等。 Further, as shown in Figure 13, the spacer 219 may be disposed outside the pixel portion 33, for example, like the peripheral circuit portion 34 overlapping region 31 of the substrate 21 or substrate. 另外，虽然在此采用将间隔物219形成在衬底31 -侧的结构，但是也可以将间隔物219形成在衬底21 -侧。 Further, although the use of this spacer 219 is formed on the substrate 31 - side of the structure, but may be formed in the spacer 219 of the substrate 21 - side. 例如可以将间隔物219设置在绝缘层266、保护层267、着色层52等的上部。 For example, the spacers 219 provided in the insulating layer 266, an upper protective layer 267, the colored layer 52 and the like. 另外，如图14所示，也可以使用粒状的间隔物226代替间隔物219。  Further, as shown in FIG. 14 may be used instead of the granular spacer 226 spacer 219. 作为粒状的间隔物226,可以使用具有透光性的材料或具有光吸收性的材料。 As the granular spacer 226, a material having a light-transmitting or light-absorbing material. 另外，作为间隔物226,虽然可以使用二氧化硅等材料，但是优选使用有机树脂或橡胶等具有弹性的材料。 Further, as the spacer 226, while a material such as silica may be used, but preferably a material having an elastic rubber or the like using an organic resin. 图14示出具有弹性的间隔物226被上下挤压而变形的状态。 14 shows a spacer 226 having elasticity is pressed down and deformed state. 衬底21的衬底31 -侧隔着粘合层261包括绝缘层262、遮光层53、绝缘层264、导电层23、导电层24、绝缘层28、导电层25、绝缘层266、着色层52等。  Substrate The substrate 21 is 31 - 261 side via the adhesive layer includes an insulating layer 262, the light shielding layer 53, the insulating layer 264, a conductive layer 23, conductive layer 24, insulating layer 28, conductive layer 25, the insulating layer 266 coloring layer 52 and the like. 此外，还可以包括覆盖着色层52的保护层267。 In addition, a protective layer may also include a cover layer 52 is colored 267. 遮光层53比绝缘层262更靠近衬底31 -侧。  than the light-shielding layer 53 insulating layer 262 closer to the substrate 31 - side. 遮光层53具有开口，该开口与发光元件204的发光区域重叠。 Light-shielding layer 53 having an opening overlapping with the light emitting element 204 of the light emitting region. 作为能够用于遮光层53的材料，可以举出碳黑、金属氧化物或包含多个金属氧化物的固溶体的复合氧化物等。  As a material can be used for the light-shielding layer 53 may include carbon black, a metal oxide or a composite oxide comprising a plurality of metal oxide solid solution. 另外，优选对遮光层53使用包含着色层52的材料的膜的叠层膜。 Further, the film material is preferably a laminated film of the colored layer 52 comprising a light-blocking layer 53. 例如，对各着色层使用包含丙烯酸树脂的材料，可以采用包含用于使红色的光透过的着色层52R的材料的膜与包含用于使蓝色的光透过的着色层52B的材料的膜的叠层结构。 For example, a material comprising an acrylic resin for the colored layer, the colored layer comprising a material for red 52R of the light transmitting film comprising a layer of blue colored light-transmitting material may be employed in the 52B the laminate structure of the membrane. 通过使着色层52与遮光层53的材料相同，可以使用相同的装置，因此可以降低制造成本。 The colored layer 52 and the light-shielding layer 53 of the same material, the same means can be used, the manufacturing cost can be reduced. 例如作为能够用于着色层52的材料，可以举出金属材料、树脂材料、包含颜料或染料的树脂材料等。  As a material that can be used, for example, the colored layer 52 may include a metal material, a resin material, a resin comprising a pigment or a dye material or the like. 以覆盖遮光层53的方式设置有绝缘层264。  so as to cover the light shielding layer 53 is provided with an insulating layer 264. 绝缘层264也可以具有平坦化膜的功能。 Insulating layer 264 may have a function of flattening film. 当作为遮光层53使用耐热性低的材料时，若作为绝缘层264使用有机绝缘材料，则可以以低温形成平坦性高的层，所以是优选的。 When a low heat resistance material as a light-shielding layer 53, the insulating layer 264 if used as an organic insulating material, can be formed with high flatness layer at a low temperature, which is preferable. 另外，若作为绝缘层264使用无机绝缘材料， 则可以将其用作在对导电层23及导电层24进行加工时的蚀刻阻挡层，所以是优选的。 Further, when the insulating layer 264 used as the inorganic insulating material, it can be used as an etching stopper layer on the conductive layer 23 and the conductive layer 24 is processed, which is preferable. 导电层23及导电层24各覆盖绝缘层264的一部分。  conductive layer 23 and the conductive layer 24 covers a portion of each of the insulating layer 264. 导电层23及导电层24具有与遮光层53互相重叠的区域。 Conductive layer 23 and the conductive layer 24 and the light-shielding layer 53 has overlapping areas. 此外，图12A示出像素33的区域的一部分中设置有导电层24的例子。 Further, FIG. 12A shows a portion of the pixel region 33 is provided with a conductive layer 24 of the example. 导电层24所包括的开口24a与发光元件204在一个区域中互相重叠。 Opening of the light emitting element 24a and the conductive layer 24 comprises a 204 overlap each other in a region. 另外，在像素33中，导电层24围绕发光元件204的发光区域。 Further, in the pixel 33, the conductive layer 24 surrounding the light emitting element 204 of the light emitting region. 因此，导电层24也可以具有与例如间隔物219、绝缘层218、导电层225、晶体管201、晶体管202或与各晶体管电连接的布线等互相重叠的区域。 Accordingly, the conductive layer 24 may have, for example, the spacer region 219, the insulating layer 218, a conductive layer 225, transistor 201, transistor 202 or the transistor is connected to each of the wiring and the like overlap each other. 导电层23及导电层25也是同样的。 Conductive layer 23 and the conductive layer 25 is the same. 图12A示出使用同一导电膜形成导电层23及导电层24的例子。  FIG. 12A shows an example of using the same conductive film conductive layer 23 and the conductive layer 24 is formed. 因为导电层23 及导电层24形成在显示区域整体中，所以通过使用同一工序形成导电层23及导电层24,可以减少显示不均匀。 Since the conductive layer and the conductive layer 23 is formed on the entire display area 24, by using the same step so that the conductive layer 23 and the conductive layer 24 is formed, display unevenness can be reduced. 绝缘层28具有电容器11的介电质的功能。  insulating layer 28 having a dielectric function of the capacitor 11. 图12A示出将无机绝缘材料用于绝缘层28的情况的例子。 FIG 12A shows an example of an inorganic insulating material for the insulating layer 28. 通过作为绝缘层28使用无机绝缘材料，容易将其厚度形成得均匀，并且与有机绝缘材料相比容易形成得薄，所以可以减少电容器11的电容值的偏差。 As the insulating layer 28 by using a deviation inorganic insulating material, is easily formed to a uniform thickness, and is easily formed to be thin as compared with the organic insulating material, it is possible to reduce the capacitance value of the capacitor 11. 此外，与绝缘层264同样，也可以将绝缘层28用作在对导电层25进行加工时的蚀刻阻挡层。 In addition, the same insulating layer 264, insulating layer 28 may be used as an etching stop layer when the conductive layer 25 for processing. 也可以将有机绝缘材料用于绝缘层28,在该情况下，因为可以将耐热性低的材料用在比绝缘层28更靠近衬底21 -侧，所以可以扩大材料选择的范围。 The organic insulating material may also be used for the insulating layer 28, in this case, since the low heat resistance than the material used in insulating layer 28 closer to the substrate 21 - side, it is possible to expand the range of material selection. 导电层25覆盖绝缘层28的一部分。  conductive layer 25 covers a portion of the insulating layer 28. 导电层25与遮光层53互相重叠。 The conductive layer 25 and the light shielding layer 53 overlap each other. 导电层25 的一部分具有与导电层23互相重叠区域。 Portion of the conductive layer 25 having a mutually overlapping region 23 and the conductive layer. 此外，导电层25具有通过设置在绝缘层28中的开口将位于导电层23两侧的两个导电层24电连接的功能。 In addition, the conductive layer 25 having a through opening 28 provided in the insulating layer positioned two electrically conductive functional layers 23 on both sides of the conductive layer 24 are connected. 另外，以覆盖导电层25及绝缘层28的方式设置有绝缘层266,以覆盖绝缘层266 的一部分的方式设置有着色层52。  Further, to cover the conductive layer 25 and insulating layer 28 embodiment is provided with an insulating layer 266 to cover a part of the insulating layer 266 is provided with a colored layer 52. 此外，也可以以覆盖着色层52的方式设置有保护层267。 It is also possible to cover the colored layer 52 is provided with a protective layer 267. 绝缘层266优选具有作为平坦化层的功能，可以适当地使用有机绝缘材料形成。 Insulating layer 266  preferably having a function as a planarizing layer, it can be suitably formed using an organic insulating material. 或者，可以使用平坦性高的无机绝缘材料。 Alternatively, a high flatness of the inorganic insulating material. 由于可以通过使用绝缘层266使着色层52的表面平坦化来减少着色层52的厚度的不均匀，因此可以实现显示质量高的触摸面板。 266 since the colored surface layer using the insulating layer 52 is planarized to reduce the non-uniform thickness of the colored layer 52, it is possible to achieve high display quality of the touch panel. 当将具有柔性的衬底用于衬底21和衬底31之中的至少一个时，可以实现薄型且轻量的触摸面板。  When having at least one of the flexible substrate 21 and the substrate used in the substrate 31 may be achieved a thin and lightweight touch panel. 当将具有柔性的衬底用于双方时，可以实现柔性触摸面板。 When the substrate having flexibility for both, the flexible touch panel can be realized. 另外，图12A和图12B所示的触摸面板使用滤色片方式。  Further, FIGS. 12A and 12B of the touch panel using a color filter shown in FIG manner. 例如，着色层52可以采用R(红色）、G(绿色）、B (蓝色）三种颜色的像素呈现一个颜色的结构。 For example, the colored layer 52 may be of R (red), G (green), B (blue) of three colors of the pixel structure of a color rendering employed. 另外，也可以采用除上述颜色之外还使用W(白色）或Y(黄色）的像素的结构。 Further, other than the above may be employed the color used in the structure of the pixel W (white) or Y (yellow). 此外，作为发光元件204所包括的EL层222,优选使用发射白色光的EL层。  Further, as the light emitting element 204 included in the EL layer 222, preferably using an EL layer emitting white light. 通过采用这种发光元件204,不需要对各像素分别设置EL层222,由此不仅能够降低成本，并能够更容易地实现高清晰化。 By using such a light emitting element 204 is not required for each pixel EL layers 222 are provided, thereby not only to reduce costs and can be more easily achieved higher definition. 另外，通过根据各像素分别改变光学调整层224的厚度，可以取出适合各像素的波长的光，从而能够提高色纯度。 Further, by changing each pixel in accordance with each optical thickness adjustment layer 224, the wavelength of light can be taken out for each pixel, color purity can be improved. 注意，可以具有对各像素分别设置EL层222的结构，此时也可以不使用光学调整层224。 Note that, there may be provided separately for each pixel structure of the EL layer 222, may not be used at this time the optical adjustment layer 224. 开口设置在位于与衬底31上的接触部205重叠的区域的各绝缘层等中，并通过配置于该开口中的连接层260使接触部205与FPC41电连接。  an opening provided in the insulating layer and the like positioned in contact with the upper portion 205 of the substrate 31 in the region of overlap, and the contact portion 260 is electrically connected by FPC41 205 disposed in the opening in the connection layer. 另外，在位于与衬底21重叠的区域的各绝缘层中设置开口，并通过配置于该开口中的连接层210使接触部253与FPC42 电连接。 Further, the opening provided in the insulating layer on the substrate 21 in the region of overlap, the contact portions 210 and 253 is electrically connected to the FPC42 disposed in the opening through the connection layer. 另外，如图13或图14所示，也可以采用FPC41及连接层260不与衬底21及设置在衬底21上的绝缘层等重叠的结构。  Further, as shown in FIG. 13 or 14, may be employed FPC41 and 260 not overlapping with the substrate 21 and the insulating layer provided on the substrate 21 like the connection layer structure. 同样地，图13及图14示出FPC42及连接层210不与衬底31及设置在衬底31上的绝缘层等重叠的结构。 Likewise, FIG. 13 and FIG. 14 shows FPC42 and does not overlap the substrate 31 and the insulating layer provided on the substrate 31 or the like connected to the structure layer 210. 在图12A中，接触部205包括通过对同样用于晶体管的源电极及漏电极的导电膜进行加工而形成的导电层。  In the conductive layer 12A, by the contact portion 205 comprises the same conductive film for the source electrode and the drain electrode of the transistor is formed by machining. 另外，接触部253具有叠层结构，层叠有对同样用于导电层23及导电层24的导电膜进行加工而形成的导电层以及对同样用于导电层25的导电膜进行加工而形成的导电层。 Further, the contact portion 253 has a laminated structure, a conductive layer laminated on the conductive film similarly to the conductive layer 23 and the conductive layer 24 is formed by processing for the same and a conductive film used for the conductive conductive layer 25 is formed by processing Floor. 如此，通过层叠多个导电层构成接触部，能够降低电阻并提高机械强度， 所以是优选的。 Thus, the contact portion configured by stacking a plurality of conductive layers, can be reduced to improve the mechanical strength and the resistance, which is preferable. 此外，图12A示出交叉部206的截面结构的一个例子，在该交叉部206中，对同样用于晶体管的栅电极的导电膜进行加工而形成的布线与对同样用于晶体管的源电极及漏电极的导电膜进行加工而形成的布线交叉。 Wire  Further, FIG. 12A shows an example of cross sectional structure of the portion 206, the intersection portion 206, the conductive film for the gate electrode of the same transistor is formed by processing the same with a pair of transistors a wiring conductive film of a source electrode and a drain electrode formed by processing a cross. 作为连接层210或连接层260,可以使用各向异性导电膜（ACF =Anisotropic Conductive Film)、各向异性导电膏（ACP:Anisotropic Conductive Paste)等。  As the connection layer 210 or the connection layer 260 may be anisotropic conductive films (ACF = Anisotropic Conductive Film), an anisotropic conductive paste (ACP: Anisotropic Conductive Paste) and the like. 绝缘层212及绝缘层262优选使用水或氢等杂质不容易扩散的材料。  insulating layer 212 and the insulating layer 262 is preferably used as water or hydrogen impurities is not easily diffused material. 即，可以将绝缘层212及绝缘层262用作阻挡膜。 That is, the insulating layer 212 and the insulating layer 262 may be used as a barrier film. 通过采用这种结构，即便作为衬底21或衬底31使用具有透湿性的材料，也能够有效地抑制杂质从外部扩散到发光元件204或各晶体管中， 从而能够实现可靠性高的触摸面板。 With such a structure, even with the substrate 31 as the substrate 21 or a material having moisture permeability, it is possible to effectively suppress the diffusion of impurities from the outside to the light emitting element 204 or each transistor, it is possible to achieve high reliability of the touch panel. 在此，优选将导电层23和导电层24 (或导电层25)中的更靠近显示面板（即，设置有显示元件的衬底一侧）的导电层与比该导电层更靠近显示面板且离该导电层（导电层23和导电层24 (或导电层25))最近的导电层之间的距离设定为例如25nm以上且100 μ m 以下，优选为50nm以上且10 μ m以下，更优选为50nm以上且5 μ m以下。  Here, preferably the conductive layer and the conductive layer 23 closer to the display panel 24 (or the conductive layer 25) (i.e., a side of the substrate provided with a display element) of the conductive layer and the conductive layer is closer than the from the display panel and the conductive layer (the conductive layer 23 and conductive layer 24 (or the conductive layer 25)) the distance between the closest conductive layer, for example, set to 100 μ m or more and 25nm or less, preferably 10 μ m or more and 50nm or less, more preferably 5 μ m or more and 50nm or less. 在图12A所示的例子中，在比位于像素33的区域的导电层24更靠近显示面板的导电层中，离导电层24最近的导电层是发光元件204的第二电极223。  In the example shown in FIG. 12A, the conductive layer 33 than the pixel region of the conductive layer 24 is more closer to the display panel, 24 from the nearest conductive layers of the second electrode 223 is a light emitting element 204. 此时，以D表示导电层24与第二电极223的距离。 In this case, D represents a distance to the conductive layer 24 and the second electrode 223. 距离D越小，越可以使一对衬底间的距离小，而可以使触摸面板的厚度薄。 The smaller the distance D, the distance can be made small between a pair of substrates, and can make the thickness of the touch panel. 尤其是，通过将具有柔性的衬底用于一对衬底，可以实现具有柔性且弯曲耐性高的触摸面板。 In particular, by a flexible substrate having a pair of substrates having flexibility may be achieved and high resistance curved touch panel. 注意，比导电层23或导电层24更靠近显示面板的导电层中的离导电层23或导电层24最近的导电层不局限于第二电极223,也有是其他导电层的情况。  Note that, than the conductive layer 23 or conductive layer 24 closer to the display panel in the conductive layer from the conductive layer 23 or 24 nearest conductive layers is not limited to the second electrode 223, there is a case where another conductive layer. 例如当在导电层23 或导电层24与第二电极223之间包括其他导电层时，使导电层23或导电层24与该导电层之间的距离在上述的范围内即可。 When, for example, between the conductive layer 23 or conductive layer 24 and the second electrode 223 includes other conductive layer, the conductive layer 23 or conductive layer 24 to the distance between the conductive layer within the above range. 例如，为了在形成粘合层220时提高润湿性或紧密性，可以在绝缘层266上设置导电层。 For example, in order to form the adhesive layer 220 to improve the wettability and tightness, a conductive layer may be disposed on the insulating layer 266. 下面，说明上述的各构成要素。  Next, the respective components described above. 晶体管包括：用作栅电极的导电层；半导体层；用作源电极的导电层；用作漏电极的导电层；以及用作栅极绝缘层的绝缘层。  transistor comprising: a conductive layer serving as a gate electrode; a semiconductor layer; a conductive layer as a source electrode; a drain electrode used as a conductive layer; and an insulating layer as a gate insulating layer. 图12A示出采用底栅结构晶体管的情况。 12A shows a case of employing a bottom-gate structure of the transistor. 注意，对本发明的一个方式的触摸面板中的晶体管的结构没有特别的限制。  Note that the structure of the transistor of the touch panel of one embodiment of the present invention is not particularly limited. 例如， 可以采用交错型晶体管或反交错型晶体管。 For example, a staggered type transistor or an inverted staggered type transistor may be employed. 此外，还可以采用顶栅型或底栅型的晶体管结构。 Further, a top-gate or bottom-gate transistor structure may also be employed. 对用于晶体管的半导体材料没有特别的限制，例如可以举出氧化物半导体、硅、锗等。 There is no particular limitation on the semiconductor material used for a transistor, for example, an oxide semiconductor, silicon, germanium or the like. 对用于晶体管的半导体材料的结晶性也没有特别的限制，可以使用非晶半导体或具有结晶性的半导体（微晶半导体、多晶半导体、单晶半导体或其一部分具有结晶区域的半导体）。  There is no particular limitation on the material for the crystalline semiconductor transistor may be an amorphous semiconductor or a crystalline semiconductor (a microcrystalline semiconductor, a polycrystalline semiconductor, a single crystal semiconductor or a crystalline semiconductor region having a portion ). 当使用具有结晶性的半导体时可以抑制晶体管的特性劣化，所以是优选的。 When using a semiconductor having crystallinity deteriorates transistor characteristics can be suppressed, which is preferable. 另外，作为用于晶体管的半导体材料，例如可以将14族元素、化合物半导体或氧化物半导体用于半导体层。  Further, a transistor as a semiconductor material, for example, may be a Group 14 element, a compound semiconductor or an oxide semiconductor used for the semiconductor layer. 典型的是，可以使用包含硅的半导体、包含砷化镓的半导体或包含铟的氧化物半导体等。 Typically, use can comprise a silicon semiconductor, a semiconductor comprising gallium or indium containing oxide semiconductor. 尤其优选将氧化物半导体用于晶体管的形成有沟道的半导体。  particularly preferably an oxide semiconductor for forming a transistor with a semiconductor channel. 尤其优选使用其带隙比硅宽的氧化物半导体。 In particular, it is preferable to use a wider band gap than that of silicon oxide semiconductor. 通过使用带隙比硅宽且载流子密度比硅小的半导体材料，可以降低晶体管的关态电流（off-state current)，所以是优选的。 By using a wider band gap than that of silicon and the carrier density is less than that of silicon semiconductor material can be reduced off-state current of the transistor (off-state current), which is preferable. 例如，上述氧化物半导体优选至少包含铟（In)或锌（Zn)。  For example, the oxide semiconductor preferably contains at least indium (In) or zinc (Zn). 更优选的是，氧化物半导体包含以111-]«-211类氧化物（]\1是41、11、63、66、¥、2厂311、1^、〇6或!^等金属）表示的氧化物。 More preferably, the oxide semiconductor comprising of 111 -] «--211 based oxide (!] \ 1 is 41,11,63,66, ¥, 2 ^ 311,1 plants, etc. ^ 〇6 or metal) oxides. 尤其作为半导体层，优选使用如下氧化物半导体膜：具有多个结晶部，该结晶部的c轴朝向大致垂直于形成有半导体层的表面或半导体层的顶面的方向，并且在相邻的结晶部间不具有晶界。  In particular, as the semiconductor layer, the oxide semiconductor film is preferably used as follows: a plurality of crystal portions, the axis C of the crystalline portion is formed toward the surface direction substantially perpendicular to the top surface of the semiconductor layer or the semiconductor layer, and in phase between adjacent crystal portions having no grain boundary. 这种氧化物半导体因为不具有晶界，所以抑制使显示面板弯曲时的应力导致裂缝产生在氧化物半导体膜中的情况。  Since such an oxide semiconductor having no grain boundaries, the stress is suppressed when the display panel due to bending in the case of cracks in the oxide semiconductor film. 因此，可以将这种氧化物半导体适用于将其弯折而使用的柔性触摸面板等。 Accordingly, such an oxide semiconductor which may be adapted to use a flexible bending touch panel. 另外，通过作为半导体层使用这种氧化物半导体，可以实现一种电特性变动得到抑制的可靠性高的晶体管。  Further, by using such an oxide semiconductor as a semiconductor layer, an electrical variation characteristic can be realized to obtain high reliability of the transistor is suppressed. 另外，由于其关态电流较低，因此能够长期间保持经过晶体管而储存于电容器中的电荷。  Further, because of its low off-state current, thus holding transistor through the charge stored in the capacitor can be a long period. 通过将这种晶体管用于像素，能够在保持各显示区域所显示的图像的灰度的状态下，停止驱动电路。 By such a state for the pixel transistor, it is possible to maintain the gradation of an image displayed on the display regions, the driver circuit is stopped. 其结果是，可以实现功耗极小的显示装置。 As a result, minimal power consumption display device can be realized. 或者，优选将硅用于形成有沟道的半导体。  Alternatively, preferably a silicon semiconductor for forming a channel. 虽然作为硅也可以使用非晶硅，但尤其优选使用具有结晶性的硅。 Although amorphous silicon may be used, it is particularly preferable to use silicon having crystallinity. 例如，优选使用微晶硅、多晶硅、单晶硅等。 For example, it is preferable to use a microcrystalline silicon, polycrystalline silicon, monocrystalline silicon. 尤其是多晶硅与单晶硅相比可以在低温下形成，且与非晶硅相比具有高电子场效应迀移率以及高可靠性。 In particular, compared with single crystal silicon and polycrystalline silicon can be formed at a low temperature, compared with amorphous silicon and having a high electron field-effect Gan drift rate and high reliability. 通过将这种多晶半导体用于像素，可以提高像素的开口率。 By such a polycrystalline semiconductor for a pixel, the pixel aperture ratio can be improved. 另外，即便在包括分辨率极高的像素的情况下，也能够在与像素相同的衬底上形成栅极驱动电路以及源极驱动电路，从而能够减少构成电子设备的构件数量。 Further, even in the case of very high resolution pixels comprises, gate drive circuit can be formed on the same substrate as the pixel electrode and a source driving circuit, thereby reducing the number of components constituting the electronic device. 作为可用于晶体管的栅极、源极及漏极和构成触摸面板的各种布线及电极等导电层的材料，可以使用铝、钛、铬、镍、铜、钇、锆、钼、银、钽或钨等金属或者以上述金属为主要成分的合金的单层或叠层。  As a material of the conductive layer of the gate of the transistor, and the source and drain wirings constituting a touch panel and various electrodes can be used, aluminum, titanium, chromium, nickel, copper, yttrium, zirconium, molybdenum, like silver, tantalum, or tungsten or a single layer or stacked in the above-described metal as a main component of the alloy. 例如，可以举出包含硅的铝膜的单层结构、在钛膜上层叠铝膜的两层结构、在钨膜上层叠铝膜的两层结构、在铜-镁-铝合金膜上层叠铜膜的两层结构、在钛膜上层叠铜膜的两层结构、在钨膜上层叠铜膜的两层结构、依次层叠钛膜或氮化钛膜、铝膜或铜膜以及钛膜或氮化钛膜的三层结构、以及依次层叠钼膜或氮化钼膜、铝膜或铜膜以及钼膜或氮化钼膜的三层结构等。 For example, a single-layer structure may include an aluminum film containing silicon, a titanium film are stacked in two-layer structure of an aluminum film, a tungsten film in the laminated two-layer structure of aluminum, copper - Mg - Cu alloy film laminate two-layer structure film, the titanium film laminated two-layer structure of a copper film, a tungsten film in the laminated two-layer structure of a copper film, a titanium film are sequentially laminated or a titanium nitride film, an aluminum film or a copper film, and a titanium film or a nitrogen three-layer structure of a titanium film, and a molybdenum film are sequentially laminated or a molybdenum nitride film, an aluminum film or a copper film, and a molybdenum film or a three-layer structure of a molybdenum nitride film and the like. 另外，也可以使用包含氧化铟、氧化锡或氧化锌的透明导电材料。 Further, use may comprise indium oxide, tin oxide or zinc oxide transparent conductive material. 另外，通过使用包含锰的铜，可以提高蚀刻时的形状的控制性，所以是优选的。 Further, by containing manganese, copper, controllability can be improved when the shape of the etching, which is preferable. 另外，作为具有透光性的导电性材料，可以使用氧化铟、铟锡氧化物、铟锌氧化物、 氧化锌、添加镓的氧化锌等导电性氧化物或石墨烯。  Further, as a conductive material having a light-transmitting property, indium oxide, indium tin oxide, indium zinc oxide, zinc oxide, gallium zinc oxide added conductive oxide or graphene. 或者，可以使用金、银、铂、镁、镍、钨、 铬、钼、铁、钴、铜、钯或钛等金属材料、包含该金属材料的合金材料。 Alternatively, a gold, silver, platinum, magnesium, nickel, tungsten, chromium, molybdenum, iron, cobalt, copper, palladium, titanium, or other metal material, an alloy material comprising the metallic material. 或者，还可以使用该金属材料的氮化物（例如，氮化钛）等。 Alternatively, the nitride may also be used a metal material (e.g., titanium nitride) and the like. 另外，当使用金属材料、合金材料（或者它们的氮化物）时，将其形成得足够薄，以具有透光性，即可。 Further, when a metal material, an alloy material upon (or nitrides thereof), which is formed thin enough to have a light-transmitting, to. 此外，可以将上述材料的叠层膜用作导电层。 Further, the laminate film of the above materials may be used as the conductive layer. 例如，通过使用银和镁的合金与铟锡氧化物的叠层膜等，可以提高导电性，所以是优选的。 For example, by using a laminated film of silver and magnesium alloy and indium tin oxide, the conductivity may be improved, which is preferable. 作为可用于各绝缘层、保护层267、间隔物219等的绝缘材料，例如可以使用丙烯酸树脂或环氧树脂等树脂、具有硅氧烷键的树脂、无机绝缘材料如氧化娃、氧氣化娃、氣氧化硅、氮化硅或氧化铝等。  As the resin may be used for each insulating layer, the insulating layer 267, a spacer 219 like protection, for example, an acrylic resin or the like may be used an epoxy resin having a siloxane bond, an inorganic insulating material such as baby oxide, oxygen of baby, air silicon oxide, silicon nitride, or alumina. 另外，如上所述，发光元件优选设置于一对透水性低的绝缘膜之间。  As described above, the light emitting element is preferably disposed on the insulating film between a pair of low water permeability. 由此，能够抑制水等杂质侵入发光元件，从而能够抑制发光装置的可靠性下降。 Accordingly, it is possible to suppress intrusion of impurities such as water, a light emitting element, thereby suppressing degradation of reliability of the light emitting device. 作为透水性低的绝缘膜，可以举出氮化硅膜、氮氧化硅膜等含有氮及硅的膜以及氮化铝膜等含有氮及铝的膜等。  As the insulating film having a low water permeability, may include a silicon nitride film, a silicon oxynitride film containing nitrogen and aluminum film containing nitrogen and the silicon nitride film and the aluminum film. 另外，也可以使用氧化硅膜、氧氮化硅膜以及氧化铝膜等。 It is also possible to use silicon oxide film, a silicon oxynitride film and an alumina film. 例如，将透水性低的绝缘膜的水蒸气透过量设定为1X10 5[gAm2 · day)]以下， 优选为1><1〇6|^/(1112-(^7)]以下，更优选为1\10 7|^/(1112-(^7)]以下，进一步优选为IX 10 8 [g/ (m2 · day)]以下。  For example, the insulating film is a low water vapor permeability through the set amount of 1X10 5 [gAm2 · day)] or less, preferably 1> <1〇6 | ^ / (1112 - (^ 7)] or less , more preferably 1 \ 10 7 | ^ / (1112 - (^ 7)] or less, more preferably IX 10 8 [g / (m2 · day)] or less. 作为各粘合层，可以使用热固化树脂、光固化树脂、双组分型固化树脂等固化树月旨。  As each of the adhesive layer, a thermosetting resin, a photo-curable resin, a two-component curing type curable resin purpose tree months. 例如，可以使用如丙烯酸树脂、聚氨酯树脂、环氧树脂或者具有硅氧烷键的树脂等树脂。 For example, such as an acrylic resin, polyurethane resin, epoxy resin, or a resin having a siloxane bond. EL层222至少包括发光层。  EL layer 222 includes at least a light emitting layer. 作为发光层以外的层，EL层222也可以还包括包含空穴注入性高的物质、空穴传输性高的物质、空穴阻挡材料、电子传输性高的物质、电子注入性高的物质或双极性的物质（电子传输性及空穴传输性高的物质）等的层。 As layers other than the light-emitting layer, the EL layer 222 may further include a high hole-injecting contain substances, high hole-transport material, a hole blocking material, a high electron transport property, high electron-injection material or bipolar substance layer (electron-transport property and a high hole-transporting substance) and the like. EL层222可以使用低分子化合物或高分子化合物，还可以包含无机化合物。  EL layer 222 a low molecular compound or a polymer compound, may further contain an inorganic compound. 构成EL层222的层分别可以通过蒸镀法（包括真空蒸镀法）、转印法、印刷法、喷墨法、涂敷法等方法形成。 Constituting each layer of the EL layer 222 can process transfer method, a printing method, an inkjet method, a coating method or the like is formed by an evaporation method (including a vacuum evaporation method). 当作为发光元件204使用白色发光的发光元件时，优选使EL层222包含两种以上的发光物质。  When using 204 element emitting white light as the light emitting element, the EL layer 222 preferably comprises two or more luminescent materials. 例如通过以两个以上的发光物质的各发光成为互补色关系的方式选择发光物质，可以获得白色发光。 By choosing the luminescent substance, for example, each of the light emitting two or more light-emitting substance are complementary color relationship manner, white light emission can be obtained. 例如，优选包含如下发光物质中的两个以上：各呈现R(红色）、 G (绿色）、B (蓝色）、Y (黄色）、0 (橙色）等发光的发光物质及呈现包含R、G、B中的两种以上的颜色的光谱成分的发光的发光物质。 For example, preferably comprising two or more luminescent substances as follows: presenting each of R (red), G (green), B (blue), Y (yellow), 0 (orange) or the like emitting light-emitting substance and presentation comprises R, G, the emission spectrum emitting substance component B in two or more colors. 另外，优选使用来自发光元件204的发光的光谱在可见光区域的波长（例如350nm至750nm)的范围内具有两个以上的峰值的发光元件。 Inside it is preferable to use a wavelength spectrum of light emission from the light emitting element 204 in the visible region (e.g., of 750 nm to 350nm) in the range of two or more light emitting elements having a peak. 另外，在黄色的波长范围中具有峰值的材料的发射光谱优选是在绿色及红色的波长范围具有光谱成分的材料。 Further, the emission spectrum of the material having a peak wavelength in the yellow range preferably is a material having spectral components in the green and red wavelength range. 更优选的是，EL层222优选采用叠层结构，该叠层为包含发射一种颜色的光的发光材料的发光层与发射其他颜色的发光材料的发光层的叠层。  More preferred are, the EL layer 222 is preferably a stacked structure, the laminate is a light emitting layer and the light emitting layer stack emitting material emitting other color light emitting material comprising a light-emitting one color. 例如，EL层222中的多个发光层既可以互相接触而层叠，又可以隔着分离层层叠。 For example, a plurality of light emitting EL layers 222 may be stacked in contact with each other, it can be laminated via the separator layer. 例如，可以在荧光发光层与磷光发光层之间设置分离层。 For example, the separation layer may be provided between the fluorescent light-emitting layer and the phosphorescent-emitting layer. 分离层例如可以用来防止能量从在磷光发光层中生成的磷光材料等的激发态到荧光发光层中的荧光材料等的通过Dexter机理的移动（尤其是三重态能量移动）。  For example the separation layer may be used to prevent the energy (triplet energy in particular) from the excited state to move through the Dexter mechanism fluorescent material emitting a fluorescent layer phosphor material generated in the phosphorescent emitting layer. 分离层具有几nm左右的厚度即可。 Separation layer having a thickness of about several nm can. 具体而言，为0· Inm以上且20nm以下、Inm以上且IOnm以下或Inm以上且5nm以下。 Specifically, more than 0 · Inm to 20nm and less, more and IOnm Inm or less Inm more and 5nm or less. 分离层包含单体材料（优选为双极性的物质）或多个材料（优选为空穴传输性材料及电子传输性材料）。 The separation layer comprises a material monomer (preferably, a bipolar substance) or a plurality of material (preferably a hole transporting material and an electron transporting material). 分离层也可以使用与该分离层接触的发光层所包含的材料来形成。  the separation layer may be formed using a material comprising a light-emitting layer in contact with the separation layer. 由此，发光元件的制造变得容易，另外，驱动电压被降低。 Thus, the light emitting element can be easily manufactured. Further, the driving voltage is lowered. 例如，当磷光发光层由主体材料、辅助材料及磷光材料（客体材料）构成时，分离层也可以由该主体材料及辅助材料形成。 For example, when a phosphorescent-emitting layer formed of a host material, a phosphorescent material and auxiliary material (guest material), the separation layer may be formed of the host material and auxiliary materials. 换言之，在上述结构中，分离层具有不包含磷光材料的区域，磷光发光层具有包含磷光材料的区域。 In other words, in the above structure, the separation layer has a region that does not contain a phosphorescent material, the phosphorescent light-emitting layer having a region containing a phosphorescent material. 由此， 可以根据磷光材料的有无分别蒸镀分离层及磷光发光层。 Accordingly, the separation layer and phosphorescent emitting layer may be deposited in accordance with the presence or absence, respectively, the phosphorescent material. 另外，通过采用这种结构，可以在同一处理室中形成分离层及磷光发光层。 Further, by adopting such a structure, the separation layer and phosphorescent emitting layer may be formed in the same processing chamber. 由此，可以降低制造成本。 Thereby, the manufacturing cost can be reduced. 另外，发光元件204既可以是包括一个EL层的单元件，又可以是隔着电荷产生层层叠有多个EL层的串联元件。  Further, the light emitting element 204 may be a single element comprising an EL layer, but also may be a charge generation layer laminated in series via a plurality of EL element layers. 在此，对具有柔性的触摸面板的制造方法进行说明。  Here, a method for producing a touch panel having a flexible be described. 在此，为了方便起见，将包括像素或电路的结构、包括滤色片等光学构件的结构或包括触摸传感器的结构称为元件层。  Here, for convenience, the structure including a pixel or a circuit comprising a color filter structure of the optical member or the like is referred to as a touch sensor structure comprises a layer element. 元件层例如包括显示元件，除了显示元件以外还可以具备与显示元件电连接的布线、用于像素或电路的晶体管等元件。 Element includes a display element layer, for example, in addition to displaying the display element may further include a wiring member electrically connected to the transistor of the pixel circuit or the like elements. 在此，将具备形成有元件层的绝缘表面的支撑体（例如，衬底21或者衬底31)称为基材。  Here, the insulating member comprises forming the support member has a surface layer (e.g., substrate 21 or the substrate 31) as substrate. 作为在具备绝缘表面的柔性基材上形成元件层的方法，可以举出：在基材上直接形成元件层的方法；以及在具有刚性的支撑基材上形成元件层后，将元件层从支撑基材剥离并将元件层转置于基材的方法。  As a method for forming an element layer on a flexible substrate comprising an insulating surface may include: a method for the element layer is formed directly on the substrate; and a rear member having a rigid layer formed on the supporting substrate, an element the peeling layer and the element layer from the substrate transfer method of the support substrate is placed. 当构成基材的材料对元件层的形成工序中的加热具有耐热性时，若在基材上直接形成元件层，工序则被简化，所以是优选的。  When a base material having heat resistance in the step of forming the heating element layer, if the element layer is formed directly on the substrate, a step type is reduced, which is preferable. 此时，若在将基材固定于支撑基材的状态下形成元件层，装置内及装置之间的搬运则变得容易，所以是优选的。 At this time, if the substrate is formed in a state fixed to the support base of the element layer, and a conveying apparatus between the apparatus becomes easy, which is preferable. 另外，当采用在将元件层形成在支撑基材上后将其转置于基材的方法时，首先在支撑基材上层叠剥离层和绝缘层，在该绝缘层上形成元件层。  Further, when employed after the element layer is formed on a supporting substrate which is placed a substrate transfer method, first peeling layer and the insulating layer are stacked, the element layer is formed on the insulating layer on a supporting substrate . 接着，将元件层从支撑基材剥离，并将元件层转置于基材。 Next, the element layer peeled from the supporting substrate, the substrate and the element layer disposed rpm. 此时，只要选择在支撑基材与剥离层的界面、剥离层与绝缘层的界面或剥离层中产生剥离的材料即可。 In this case, as long as the material can be selected to produce peeling at the interface or interfacial peeling layer, the peeling layer and the insulating supporting substrate layer and the peeling layer. 例如，优选的是，作为剥离层使用包含钨等高熔点的金属材料的层与包含该金属材料的氧化物的层的叠层，并且在剥离层上层叠多个氮化硅层或氧氮化硅层。  For example, it is preferable to use as the release layer comprises a layer of a high melting point metal material such as tungsten oxide and the laminate comprising the metallic material layer, and a release layer laminated on the silicon nitride layer or a plurality of a silicon oxynitride layer. 当使用高熔点的金属材料时，可以提高元件层的形成工序的自由度，所以是优选的。 When a high melting point metal material is used, the degree of freedom can be increased step of forming an element layer, which is preferable. 可以通过施加机械力量、对剥离层进行蚀刻或者使液体滴落到剥离界面的一部分并使其渗透整个剥离界面等来进行剥离。  may, for the release layer is etched by applying a mechanical force or a portion of the liquid dropped to interfacial peeling and allowed to permeate the entire peeling interface peeling and the like. 或者，也可以利用热膨胀系数的差异对剥离界面进行加热来进行剥离。 Alternatively, use of the difference in thermal expansion coefficients of the interface peeling peeling heating. 另外，当能够在支撑基材与绝缘层的界面进行剥离时，可以不设置剥离层。  Further, when the supporting substrate can be peeled off at the interface with the insulating layer, the release layer may not be provided. 例如， 也可以作为支撑基材使用玻璃，作为绝缘层使用聚酰亚胺等有机树脂，使用激光等对有机树脂的一部分局部性地进行加热来形成剥离的起点，由此在玻璃与绝缘层的界面进行剥离。 For example, a support may be used as a glass substrate, an organic resin such as polyimide as an insulating layer, using laser or the like on the part of the organic resin is locally heated to form the starting point of peeling, whereby the glass insulating layer interfacial peeling. 或者，也可以在支撑基材与由有机树脂构成的绝缘层之间设置金属层，通过使电流流过该金属层对该金属层进行加热，由此在该金属层与绝缘层的界面进行剥离。 Alternatively, a metal layer may be provided between the supporting substrate and the insulating layer made of an organic resin, by passing current through the metal layer, the metal layer is heated, whereby the peeling at the interface between the metal layer and the insulating layer, . 此时，可以将由有机树脂构成的绝缘层用作基材。 In this case, by constituting the organic resin insulating layer is used as a substrate. 作为具有柔性的基材，例如可以举出如下材料：聚酯树脂诸如聚对苯二甲酸乙二醇酯（PET)或聚萘二甲酸乙二醇酯（PEN)等、聚丙烯腈树脂、聚酰亚胺树脂、聚甲基丙烯酸甲酯树脂、聚碳酸酯（PC)树脂、聚醚砜（PES)树脂、聚酰胺树脂、环烯烃树脂、聚苯乙烯树月旨、聚酰胺酰亚胺树脂或聚氯乙烯树脂等。  As a flexible substrate, for example, may include the following materials: polyester resins such as polyethylene terephthalate (PET) or polyethylene terephthalate polyethylene naphthalate (PEN), etc., polyacrylonitrile resin, polyimide resin, polymethyl methacrylate resin, polycarbonate (PC) resin, a polyether sulfone (PES) resin, polyamide resin, cyclic olefin resins, polystyrene resins month purpose, the polyamide acid imide resin or polyvinyl chloride resin. 尤其优选使用热膨胀系数低的材料，例如，可以使用热膨胀系数为30X 10 6/K以下的聚酰胺酰亚胺树脂、聚酰亚胺树脂、PET等。 Especially preferably the low thermal expansion coefficient material, e.g., a thermal expansion coefficient may be used as 30X 10 6 / K or less polyamide-imide resin, polyimide resin, PET and the like. 另外，也可以使用将树脂浸渗于纤维体中的衬底（也称为预浸料）或将无机填料混合到有机树脂中来降低热膨胀系数的衬底。 Further, a resin may be used in the substrate impregnated fiber body (also referred to as prepreg) mixing an inorganic filler or an organic resin to reduce the coefficient of thermal expansion of the substrate. 当上述材料中含有纤维体时，作为纤维体使用有机化合物或无机化合物的高强度纤维。  When the above-mentioned material comprises a fibrous body, the use of high-strength fibers of organic or inorganic compounds containing a fiber body. 具体而言，高强度纤维是指拉伸弹性模量或杨氏模量高的纤维。 Specifically, a high strength fiber means a tensile modulus of elasticity or a high Young's modulus fibers. 其典型例子为聚乙烯醇类纤维、聚酯类纤维、聚酰胺类纤维、聚乙烯类纤维、芳族聚酰胺类纤维、聚对苯撑苯并双噁唑纤维、玻璃纤维或碳纤维。 Typical examples are polyvinyl alcohol fibers, polyester fibers, polyamide fibers, polyethylene fibers, aramid fibers, polyparaphenylene benzobisoxazole fibers, glass fibers or carbon fibers. 作为玻璃纤维可以举出使用E玻璃、S玻璃、D玻璃、Q玻璃等的玻璃纤维。 As the glass fibers used may include E glass, S glass, D glass, Q glass, glass fibers. 将上述纤维体以织布或无纺布的状态使用，并且，也可以使用在该纤维体中浸渗树脂并使该树脂固化而成的结构体作为柔性衬底。 The above fiber body is used in a state woven or nonwoven fabric, and may be used in the fibrous body is impregnated with a resin and curing the resin structure formed as a flexible substrate. 通过作为具有柔性的衬底使用由纤维体和树脂构成的结构体，可以提高耐弯曲或局部挤压所引起的破损的可靠性，所以是优选的。 By the use of a substrate having a flexible structure composed of fibers and the resin, can increase the reliability of resistance to bending or breakage of local crush caused, which is preferable. 或者，可以将薄得足以具有柔性的玻璃、金属等用于基材。  Alternatively, the flexible thin enough to have a glass, metal or the like to a substrate. 或者，可以使用贴合玻璃与树脂材料的复合材料。 Alternatively, a composite material of glass and resin bonded material. 例如，在图12Α的结构中，在第一支撑基材上依次形成第一剥离层、绝缘层262后， 形成在这些层上的结构物。  For example, in the configuration in FIG 12Α, a first release layer are sequentially formed on a first supporting substrate, the insulating layer 262 is formed on the structure of these layers. 除此之外，在第二支撑基材上依次形成第二剥离层、绝缘层212 后，形成在这些层上的结构物。 In addition, the second release layer are sequentially formed on the second supporting substrate, the insulating layer 212 is formed on the structure of these layers. 接着，将第一支撑基材与第二支撑基材由粘合层220贴合。 Next, the first substrate support and the second support substrate 220 by the bonding adhesive layer. 然后，在第二剥离层与绝缘层212的界面进行剥离而去除第二支撑基材及第二剥离层，并将绝缘层212与衬底31由粘合层211贴合。 Then, the peeling at the interface of the second peeling layer and the insulating layer 212 is removed and a second substrate supporting the second release layer, and the insulating layer 212 and the substrate 31 by the adhesive layer 211 is bonded. 另外，在第一剥离层与绝缘层262的界面进行剥离而去除第一支撑基材及第一剥离层，并将绝缘层262与衬底21由粘合层261贴合。 Further, the peeling at the interface between the release layer and the first insulating layer 262 is removed and a first substrate supporting the first release layer, and the insulating layer 262 and the substrate 21 by the adhesive layer 261 bonded. 注意，剥离及贴合从哪一侧开始都可以。 Note that, the peeling and bonded to the side from which can be started. 以上是柔性触摸面板的制造方法的说明。  The above description of the method for manufacturing a flexible touch panel. 图15示出其结构的一部分与图12A不同的截面结构实例。  FIG. 15 shows a structural example of different cross-sectional structure of a part of FIG. 12A. 另外，下面省略与上述重复的部分的说明，只说明不同之处。 Further, the following description will be omitted and the repeating portion, only differences are explained. 图15示出没有设置导电层25的结构的例子。  FIG. 15 illustrates an example structure of the conductive layer 25 is not disposed of. 导电层24覆盖绝缘层28的一部分。 The conductive layer 24 covers a portion of the insulating layer 28. 导电层23与导电层24在一个区域中互相重叠，在该区域形成有电容器11。 The conductive layer 23 and conductive layer 24 overlap each other in a region, the capacitor 11 is formed in this region. 另外，图15示出连接部272的截面结构，在连接部272中，导电层24通过设置在绝缘层28中的开口与通过对用于形成导电层23的导电膜进行加工而成的布线电连接。  Further, FIG. 15 shows a cross-sectional structure of the connecting portion 272, the connection portion 272, the conductive layer 24 through an opening provided in the insulating layer 28 by the conductive film obtained by processing the conductive layer 23 for forming a wiring electrically connected. 另外，图15示出独立地形成各像素中的EL层222的例子。  Further, FIG. 15 shows an example of the EL layer is independently in each pixel 222 is formed. EL层222例如可以包括包含发射一种颜色的光的发光材料的发光层。 EL layer 222 may comprise, for example, comprise a light emitting layer emitting one color of light emitting material. 此外，图15所示的发光元件204不包括图12B所示的光学调整层224。 Further, the light emitting element 15 shown in FIG. 204 does not include an optical adjustment layer shown in FIG. 12B 224. 再者，图15示出不包括着色层52的结构。 Further, FIG. 15 shows a structure does not include a colored layer 52. 独立地形成各像素中的发光元件204所包括的EL层222,当发光元件204呈现色纯度高的发光时，如上所述可以简化结构，所以是优选的。 A light emitting EL layer is formed independently in each pixel element 204 includes 222, 204 when the light emitting element exhibits light emission with high color purity, as described above can be simplified, which is preferable. 在此，优选将导电层23和导电层24中的更靠近显示面板的导电层与比该导电层更靠近显示面且离该导电层（导电层23和导电层24)最近的导电层之间的距离设定为例如25nm以上且100 μ m以下，优选为50nm以上且10 μ m以下，更优选为50nm以上且5 μ m 以下。  Here, preferably the conductive layer 23 and conductive layer 24 closer to the display nearest conductive from the conductive layer (conductive layer 23 and the conductive layer 24) conductive layer panel closer to the display surface than the conductive layer, and the distance between the layers is set, for example, 100 μ m or more and 25nm or less, preferably 10 μ m or more and 50nm or less, more preferably 5 μ m or more and 50nm or less. 在图15所示的例子中，在比导电层24更靠近显示面板的导电层中，离导电层24 最近的导电层是发光元件204的第二电极223。  In the example shown in FIG. 15, the layer 24 is more conductive than the conductive layer close to the display panel, 24 from the nearest conductive layers of the second electrode 223 is a light emitting element 204. 此时，导电层24与第二电极223的距离D 越小，越可以使一对衬底间的距离小，而可以使触摸面板的厚度薄。 At this time, the conductive layer 24 and the distance D of the second electrode 223 is smaller, the distance can be made small between a pair of substrates, and can make the thickness of the touch panel. 尤其是，通过将具有柔性的衬底用于一对衬底，可以实现具有柔性且耐弯曲性高的触摸面板。 In particular, by a flexible substrate having a pair of substrates, and can realize a high resistance to bending of the flexible touch panel. 以上是截面结构实例2的说明。  Examples of the above described cross-sectional structure is 2. 注意，虽然在本实施方式中示出了包括支撑触摸传感器的衬底和支撑显示元件的衬底的两个衬底的结构，但不局限于此。  Note that although the present embodiment shows a substrate comprising a support and a support structure of a touch sensor substrate of two substrates of a display element, but is not limited thereto. 例如，可以采用具有三个衬底的结构，其中由两个衬底夹着显示元件，并将支撑触摸传感器的衬底贴合于其。 For example, a structure having three substrates, wherein the display element sandwiched between two substrates, and a substrate supporting the touch sensor bonded thereto. 还可以采用具有四个衬底的结构，其中将由两个衬底夹着的显示元件和由两个衬底夹着的触摸传感器贴合在一起。 May also be employed a structure having four substrate, wherein the display element is sandwiched by the two substrates and the two substrates by the touch sensor interposed therebetween bonded together. 本实施方式可以与本说明书所记载的其他实施方式适当地组合而实施。  This embodiment can be combined with other embodiments described in the specification of the present embodiment. 在本实施方式中，参照附图对本发明的一个方式的触摸面板的驱动方法的例子进行说明。  In the present embodiment, a driving method of a reference example embodiment of the present invention is a touch panel will be described with reference to FIG. 图16A是示出互电容式的触摸传感器的结构的方框图。  FIG. 16A is a block diagram showing a mutual capacitance type touch sensor structure. 在图16A中，示出脉冲电压输出电路601、电流检测电路602。 In FIG. 16A shows a pulse voltage output circuit 601, a current detection circuit 602. 另外，在图16A中，以Xl至X6的6个布线表示被施加有脉冲电压的电极621，并以Yl至Y6的6个布线表示检测电流的变化的电极622。 Further, in FIG. 16A to six Xl to X6 represents a wiring electrode 621 is applied with a pulse voltage, and the wirings 6 to Yl to Y6 represents a change of the current detection electrode 622. 此外， 在图16A中，图示由于使电极621与电极622重叠而形成的电容603。 Further, the capacitor 603 in FIG. 16A, since the electrode 621 and the illustrated electrodes 622 formed to overlap. 注意，电极621与电极622的功能可以互相调换。 Note that the electrode 621 and the electrode 622 function may be replaced with each other. 脉冲电压输出电路601是用来依次将脉冲施加到Xl至X6的布线的电路。 Xl to X6 wiring circuit of  the pulse voltage output circuit 601 is applied to the pulse sequence used. 通过对Xl至X6的布线施加脉冲电压，在形成电容603的电极621与电极622之间产生电场。 By applying a pulse voltage to the wirings Xl to X6, the electric field is generated between the electrode 621 and the electrode 622 form a capacitor 603. 通过利用因该产生于电极之间的电场被遮蔽等而产生的电容603的互电容变化，可以检测被检测体的接近或接触。 By using the change in mutual capacitance of the capacitor 603 due to an electric field is generated between the electrodes and the like are shielded generated can be detected proximity or contact with the sample. 电流检测电路602是用来检测电容603的互电容变化所引起Yl至Y6的布线的电流变化的电路。  The current detection circuit 602 is a circuit current change Yl to Y6 of the wiring for detecting a change in mutual capacitance due to capacitance 603. 在Yl至Y6的布线中，如果没有被检测体的接近或接触，则所检测的电流值没有变化，另一方面，在由于所检测的被检测体的接近或接触而互电容减少的情况下，检测到电流值减少的变化。 Yl to Y6 in the line, if the proximity or contact body is not detected, the detected current value does not change, on the other hand, in a case where due to the contact or proximity detected by the detection member while reducing the mutual capacitance , the current value detected reduced variation. 另外，通过积分电路等检测电流即可。 Further, the current can be detected by the integration circuit and the like. 接着，图16B示出图16A所示的互电容式触摸传感器中的输入/输出波形的时序图。  Next, FIG. 16B shows the input mutual capacitance touch sensor shown in FIG. 16A / output timing chart illustrating waveforms. 在图16B中，在一个帧期间中进行各行列中的被检测体的检测。 , For detecting the sample in each row in the one frame period in FIG. 16B. 另外，在图16B中，示出没有检测出被检测体（未触摸）和检测出被检测体（触摸）的两种情况。 Further, in FIG. 16B, shown is not detected by both the test body (touch) is detected (not touch) and detected. 此外，关于Yl 至Y6的布线，示出对应于所检测出的电流值的电压值的波形。 Further, regarding wirings Yl to Y6 showing the voltage corresponding to the current value of the detected waveform. 依次对Xl至X6的布线施加脉冲电压，Yl至Y6的布线的波形根据该脉冲电压变化。  pulse voltage is applied sequentially to the wiring of Xl to X6, Yl wiring to the waveform of the pulse voltage according to Y6 change. 当没有被检测体的接近或接触时，Yl至Y6的波形根据Xl至X6的布线的电压变化产生变化。 When the proximity or contact body is not detected, Yl Y6 to the waveform to a voltage change produces a change in the wiring X6 according Xl. 另一方面，在有被检测体接近或接触的部位电流值减少，因而与其相应的电压值的波形也产生变化。 On the other hand, there is a current value at a portion close to or in contact with the sample is reduced, and thus the waveform voltage values ​​corresponding thereto are also changed. [0231 ] 如此，通过检测互电容的变化，可以检测被检测体的接近或接触。  Thus, by detecting a change in the mutual capacitance can be detected proximity or contact with the sample. 另外，脉冲电压输出电路601及电流检测电路602优选以一体化的IC的形态安装在触摸面板中或安装在电子设备的框体内的衬底中。  Further, the voltage pulse output circuit 601 and the current detecting circuit 602 is preferably integrated to form an IC mounted in a touch panel mounted on the substrate or the casing of the electronic device. 在具有柔性的触摸面板中，弯曲部分的寄生电容增大，有噪声的影响变大的担忧，所以优选使用应用了不容易受噪声的影响的驱动方法的1C。 In the touch panel having a flexible bent portion increases the parasitic capacitance, there is influence of noise becomes large concern, preferably used is not easily applied 1C driving method is susceptible to noise. 例如优选使用应用了提高信噪比（S/N比）的驱动方法的1C。 For example, preferably applied using a driving method to improve signal to noise ratio (S / N ratio) of 1C. 另外，作为触摸传感器，图16A虽然示出在布线的交叉部只设置电容603的无源矩阵方式触摸传感器的结构，但是也可以采用具备晶体管和电容的有源矩阵方式触摸传感器。  Further, as the touch sensor, while FIG. 16A shows a capacitor structure 603 is provided only at the intersecting portion of the wiring of the passive matrix type touch sensor, the touch sensor may be employed but an active matrix includes a transistor and a capacitor. 图17示出有源矩阵方式触摸传感器所包括的一个传感器电路的例子。 17 shows a sensor circuit for an active matrix type touch sensor includes an example. 传感器电路包括电容603、晶体管611、晶体管612及晶体管613。  The sensor circuit includes a capacitor 603, transistor 611, transistor 612 and transistor 613. 对晶体管613的栅极施加信号G2,对源极和漏极中的一个施加电压VRES，并且另一个与电容603的一个电极及晶体管611的栅极电连接。 Applied to the gate signal G2 of the transistor 613, the voltage VRES applied to the source and the drain of one, and the other is electrically connected to the gate electrode of a transistor 611 and a capacitor 603. 晶体管611的源极和漏极中的一个与晶体管612的源极和漏极中的一个电连接，对另一个施加电压VSS。 The source of the transistor 611 and a source and a drain of the transistor 612 is connected to the voltage VSS is applied to the other. 对晶体管612的栅极施加信号G1，源极和漏极中的另一个与布线ML电连接。 G1 signal is applied to the gate of the transistor 612, and other wiring ML power source and the drain is connected. 对电容603的另一个电极施加电压VSS。 Voltage VSS is applied to the other electrode of the capacitor 603. 接着，对传感器电路的工作进行说明。  Next, operation of the sensor circuit will be described. 首先，通过作为信号G2施加使晶体管613 成为开启状态的电位，与晶体管611的栅极连接的节点η被施加对应于电压VRES的电位。 First, the transistor 613 is applied as the signal potential of G2 becomes ON state, the node connected to the gate of the transistor 611 is applied to a voltage corresponding to η potential VRES. 接着，通过作为信号G2施加使晶体管613成为关闭状态的电位，节点η的电位得到保持。 Subsequently, the transistor 613 is applied as the signal potential of G2 becomes a closed state, the potential of the node η is maintained. 接着，由于手指等被检测体的接近或接触，电容603的互电容产生变化，而节点η 的电位随其由VRES变化。  Next, since the contact of the finger or the like close to the object to be examined, the mutual capacitance capacitor 603 changes, the potential of the node η which changes with the VRES. 读出工作对信号Gl施加使晶体管612成为开启状态的电位。  the read operation transistor 612 is applied so that the potential of the signal Gl becomes an open state. 流过晶体管611的电流，即流过布线ML的电流根据节点η的电位而产生变化。 Current flowing through the transistor 611, i.e., the current flowing through the wiring ML generated in accordance with change in the potential of the node η. 通过检测该电流，可以检测出被检测体的接近或接触。 By detecting the current can be detected proximity or contact with the sample. 作为晶体管611、晶体管612及晶体管613,优选使用将氧化物半导体用于形成有其沟道的半导体层的晶体管。  as the transistor 611, transistor 612 and transistor 613, it is preferably used for an oxide semiconductor transistor including a semiconductor layer which is formed of a channel. 尤其是通过将这种晶体管用于晶体管613,能够使节点η的电位长期间被保持，由此可以减少对节点η再次供应VRES的工作（刷新工作）频度。 In particular, such a transistor is formed by a transistor 613, the potential of a long period can be made η node is maintained, thereby reducing the re-supply node η VRES work (refresh operation) frequency. 本实施方式的至少一部分可以与本说明书所记载的其他实施方式适当地组合而实施。  The embodiment according to the present embodiment a portion of the embodiment can be combined with other embodiments at least the present embodiment described in the specification. 在本实施方式中，参照图18A至图18G以及图19A至图191说明能够使用本发明的一个方式制造的电子设备以及照明装置。  In the present embodiment, referring to FIGS. 18A to 18G and 19A to 191 illustrate an electronic device and a lighting device using one embodiment of the present invention can be manufactured. FIG. 本发明的一个方式的触摸面板具有柔性。  The present embodiment of the invention, a touch panel has flexibility. 因此，可以将本发明的一个方式的触摸面板适当地应用于具有柔性的电子设备及照明装置。 Accordingly, the touch panel of one embodiment of the present invention is suitably applied to an electronic device having flexibility and a lighting device. 此外，通过使用本发明的一个方式，可以制造可靠性高且能够承受反复弯曲的电子设备及照明装置。 Further, by using one embodiment of the present invention, and can be manufactured with high reliability electronic devices and lighting devices to withstand repeated bending. 作为电子设备，例如可以举出电视装置（也称为电视或电视接收机）、用于计算机等的显示器、数码相机、数码摄像机、数码相框、移动电话机（也称为移动电话、移动电话装置）、便携式游戏机、便携式信息终端、音频播放装置、弹珠机等大型游戏机等。  Examples of electronic appliances include television sets (also referred to as televisions or television receivers), monitors for computers, digital cameras, digital video cameras, digital photo frames, mobile phones (also referred to as mobile phone, a mobile phone device), a portable game machine, a portable information terminal, an audio playback device, a pachinko machine, and other large game machine. 此外，由于本发明的一个方式的触摸面板具有柔性，因此也可以将该装置沿着房屋及高楼的内壁或外壁、汽车的内部装饰或外部装饰的曲面组装。  Further, since the touch panel of one embodiment of the present invention has flexibility, so the device can be decorated along the high-rise housing and the inner or outer wall, interior or exterior surface of the car assembly. 本发明的一个方式的电子设备也可以包括触摸面板及二次电池。  Electronic device according to one embodiment of the present invention may also include a touch panel and a secondary battery. 此时，优选的是能够使用非接触电力传输对二次电池充电。 In this case, it is preferable to use a non-contact power transmission to the secondary battery. 作为二次电池，例如可以举出使用凝胶电解质的锂聚合物电池（锂离子聚合物电池）等锂离子二次电池、锂离子电池、镍氢电池、镍镉电池、有机自由基电池、铅蓄电池、空气二次电池、镍锌电池、银锌电池等。  As the secondary battery, for example, lithium polymer gel electrolyte batteries (lithium ion polymer battery) like a lithium ion secondary battery, lithium ion battery, a nickel hydrogen battery, a nickel cadmium battery, an organic radical battery, a lead storage battery, an air secondary battery, a nickel-zinc battery, silver-zinc batteries. 本发明的一个方式的电子设备也可以包括触摸面板及天线。  Electronic device according to one embodiment of the present invention may also include a touch panel and an antenna. 通过用天线接收信号，可以在显示部显示图像或信息等。 By receiving a signal antenna, or the image information may be displayed on the display unit. 此外，在电子设备包括二次电池时，也可以使用天线进行非接触电力传输。 Further, when the electronic apparatus includes a secondary battery, it may also be used for non-contact power transmission antennas. 图18A示出移动电话机的一个例子。  FIG. 18A shows an example of a mobile phone. 移动电话机7400除了组装在框体7401的显示部7402之外还具备操作按钮7403、外部连接端口7404、扬声器7405、麦克风7406等。 In addition to the cellular phone 7400 display portion 7401 incorporated in a housing 7402, operation buttons 7403, an external connection port 7404, a speaker 7405, a microphone 7406, and the like. 另外，将本发明的一个方式的触摸面板用于显示部7402来制造移动电话机7400。 Further, a touch panel of the embodiment of the present invention for the display portion 7402 to manufacture the mobile phone 7400. 通过本发明的一个方式，能够以高成品率提供一种具备弯曲的显示部且可靠性高的移动电话机。 By one embodiment of the present invention, a high yield can be provided in one kind of display having a curved portion and a mobile phone with high reliability. 在图18A所示的移动电话机7400中，通过用手指等触摸显示部7402可以输入信息。  In the mobile phone 7400 shown in FIG. 18A, the finger or the like by touching the display portion 7402 can input information. 此外，通过用手指等触摸显示部7402可以进行打电话或输入文字等所有操作。 Further, the operation unit 7402 can perform all call or the like to enter text by touching the display finger or the like. 此外，通过操作按钮7403的操作，可以切换电源的开启及关闭或切换显示在显示部7402的图像的种类。  Further, by operating the operation buttons 7403 can be switched on and off of the power switch or the kind of image displayed on the display unit 7402. 例如，可以将电子邮件的编写画面切换为主菜单画面。 For example, write an e-mail screen can be switched to the main menu screen. 图18B是手表型便携式信息终端的一个例子。  FIG. 18B is an example of a wristwatch type portable information terminal. 便携式信息终端7100包括框体7101、显示部7102、腕带7103、表扣7104、操作按钮7105、输入输出端子7106等。 The portable information terminal 7100 includes a housing 7101, a display portion 7102, 7103 wrist strap, clasp 7104, an operation button 7105, input-output terminal 7106 and the like. 便携式信息终端7100可以执行移动电话、电子邮件、文章的阅读及编辑、音乐播放、网络通信、电脑游戏等各种应用程序。  The portable information terminal 7100 can perform mobile phone, e-mail, reading and editing of articles, music players, network communications, computer games and other applications. 显示部7102的显示面是弯曲的，能够沿着弯曲的显示面进行显示。  the display surface of the display portion 7102 is bent, can be displayed along a curved display surface. 另外，显示部7102具备触摸传感器，可以用手指或触屏笔等触摸画面来进行操作。 Further, the display unit includes a touch sensor 7102 can be used like a finger or a stylus to operate the touch screen. 例如，通过触摸显示于显示部7102的图标7107,可以启动应用程序。 For example, by touching an icon displayed on the display unit 71077102, the application can be started. 操作按钮7105除了时间设定之外还可以具有电源的开启及关闭、无线通信的开启及关闭、静音模式的设定及解除、省电模式的设定及解除等各种功能。  In addition to the operation time setting button 7105 may have various functions on and off the power supply, on and off of the wireless communication, setting and canceling the silent mode, setting the power saving mode is released and the like. 例如，通过利用组装在便携式信息终端7100中的操作系统，还可以自由地设定操作按钮7105的功能。 For example, by using the portable information terminal 7100 is assembled in the operating system, you can freely set the functions of the operation buttons 7105. 另外，便携式信息终端7100可以进行被通信标准化的近距离无线通信。  Further, the portable information terminal 7100 can be standardized communication proximity wireless communication. 例如，通过与可进行无线通信的耳麦相互通信，可以进行免提通话。 For example, through a communication headset for wireless communication with each other can be hands-free conversation. 另外，便携式信息终端7100具备输入输出端子7106,可以通过连接器直接与其他信息终端进行数据的交换。  Further, the portable information terminal 7100 includes input-output terminal 7106, data can be exchanged through the connector directly with other information terminals. 另外，也可以通过输入输出端子7106进行充电。 Further, the charging may be performed through the input-output terminal 7106. 另外，充电工作也可以利用无线供电进行，而不通过输入输出端子7106。 Further, the charging operation may be performed using the wireless power feeding, without passing through the input-output terminal 7106. 便携式信息终端7100的显示部7102组装有本发明的一个方式的触摸面板。 A display unit  7100 of the portable information terminal assembly 7102 of the present invention has a touch panel. 通过本发明的一个方式，能够以高成品率提供一种具备弯曲的显示部且可靠性高的便携式信息终端。 By one embodiment of the present invention, a high yield can be provided in one kind of display having a curved portion and a portable information terminal with high reliability. 图18C至图18E示出照明装置的一个例子。  FIGS. 18C to 18E shows an example of the lighting device. 照明装置7200、照明装置7210及照明装置7220都包括具备操作开关7203的底座7201以及由底座7201支撑的发光部。 The lighting device 7200, a lighting device and a lighting apparatus 7210 includes an operation switch 7220 includes a chassis 7201 and a light emitting portion 7203 is supported by the base 7201. 图18C所示的照明装置7200具备具有波状发光面的发光部7202。 The lighting device shown in  FIG 18C 7200 includes a light emitting portion 7202 has a wave emitting surface. 因此，其为设计性高的照明装置。 Thus, the design of which is a high illumination device. 图18D所示的照明装置7210所具备的发光部7212采用弯曲为凸状的两个发光部对称地配置的结构。 Illuminating the light emitting unit 7210 includes device shown in  FIG. 18D 7212 using two light emitting structure disposed convexly curved portions symmetrically. 因此，可以以照明装置7210为中心全方位地进行照射。 Accordingly, the lighting device 7210 may be centered irradiated in all directions. 图18E所示的照明装置7220具备弯曲为凹状的发光部7222。 The lighting device shown in  FIG. 18E 7220 includes a light emitting portion 7222 is bent in a concave shape. 因为将来自发光部7222的发光聚集到照明装置7220的前面，所以适用于照亮特定范围的情况。 Since light emitting from the emitting portion 7222 of the aggregate lighting device 7220 to the front, where it is suitable for illuminating a specific range. 此外，因为照明装置7200、照明装置7210及照明装置7220所具备的各发光部具有柔性，所以也可以采用使用可塑性构件或可动框架等构件固定发光部并按照用途能够随意使发光部的发光面弯曲的结构。  Further, since the lighting device 7200, each light emitting section illuminating device 7210 and a lighting device 7220 provided with a flexible, it may be employed using the plasticity member or the movable frame like fixing the light emitting member and are in accordance with the purpose can freely cause the light emitting portion the curved light-emitting surface of the structure. 虽然在此例示了由底座支撑发光部的照明装置，但是也可以以将具备发光部的框体固定或吊在天花板上的方式使用照明装置。  While the illumination device shown here includes a base supporting the light emitting portion of the embodiment, but may be a light emitting portion includes a housing fixed to the ceiling or suspended manner using the lighting apparatus. 由于能够在使发光面弯曲的状态下使用照明装置，因此能够使发光面以凹状弯曲而照亮特定区域或者使发光面以凸状弯曲而照亮整个房间。 Since the lighting apparatus can be used in a bent state light emitting surface, the light emitting surface can be curved in a concave shape to illuminate a specific region or the light emitting surface convexly curved to illuminate the entire room. 在此，在各发光部中组装有本发明的一个方式的触摸面板。  Here, one embodiment of the present invention is assembled with a touch panel in the light-emitting portion. 通过本发明的一个方式，能够以高成品率提供一种具备弯曲的发光部且可靠性高的照明装置。 By one embodiment of the present invention, a high yield can be provided in one kind of the light emitting portion and includes a curved lighting device with high reliability. 图18F示出便携式触摸面板的一个例子。  FIG 18F illustrates an example of a portable touch panel. 触摸面板7300具备框体7301、显示部7302、操作按钮7303、显示部取出构件7304以及控制部7305。 The touch panel 7300 includes a housing 7301, a display portion 7302, an operation button 7303, a display portion 7304, and a control unit extracting member 7305. 触摸面板7300在筒状的框体7301内具备有卷成卷筒状的柔性显示部7302。  The touch panel 7300 is provided in the cylindrical housing 7301 has a rolled flexible display unit 7302. 此外，触摸面板7300能够由控制部7305接收影像信号，且能够将所接收的影像显示于显示部7302。  Further, a touch panel 7300, and can be received by the image display control unit 7305 receives a video signal, the display unit 7302. 此外，控制部7305具备电池。 Further, the control unit 7305 includes a battery. 此外，也可以采用控制部7305具备连接连接器的端子部而以有线的方式从外部直接供应影像信号或电力的结构。 Further, the control unit 7305 may be used includes a terminal connecting portion of the connector and a wired manner or a power supply structure of the video signal directly from the outside. 此外，可以由操作按钮7303进行电源的ON、OFF工作或显示的影像的切换等。  Further, the power supply may be performed by the ON operation button 7303, OFF operation switching display images or the like. 图18G示出使用显示部取出构件7304取出显示部7302的状态的触摸面板7300。  FIG 18G shows a display unit using the extraction member 7304 removed state display unit 7302 of the touch panel 7300. 在此状态下，可以在显示部7302上显示影像。 In this state, an image can be displayed on the display unit 7302. 另外，通过使用配置于框体7301的表面的操作按钮7303,可以容易地以单手操作。 Further, by using the frame body disposed on the surface 7301 of the operation button 7303 can be operated easily with a single hand. 此外，如图18F所示那样，通过将操作按钮7303配置在框体7301的一侧而不是中央，可以容易地以单手操作。 Further, as shown in FIG 18F, arranged by the side of the operation button 7303 instead of 7301 in the center of the frame body can be easily with one hand operation. 另外，可以在显示部7302的侧部设置用来加固的框，以便在取出显示部7302时使该显示部7302的显示面固定为平面状。  Further, the frame may be provided for reinforcing the side portions of the display portion 7302 to remove the display unit in the display surface of the display portion 7302 is fixed planar 7302. 此外，除了该结构以外，也可以采用在框体中设置扬声器并使用与影像信号同时接收的音频信号输出声音的结构。  Further, in addition to this configuration, the speaker may be employed provided in the housing structure of the audio signal and output sound using the video signal received simultaneously. 显示部7302组装有本发明的一个方式的触摸面板。  display portion 7302 is assembled touch panel in one embodiment of the present invention. 通过本发明的一个方式，能够以尚成品率提供一种轻量且可靠性尚的触摸面板。 By one embodiment of the present invention, the yield can be still provided a lightweight and reliable touch panel still. 图19A至图19C示出能够折叠的便携式信息终端310。  FIGS. 19A to 19C illustrates a portable information terminal 310 can be folded. 图19A示出展开状态的便携式信息终端310。 FIG 19A illustrates a portable information terminal 310 in an unfolded state. 图19B示出从展开状态和折叠状态中的一个状态变为另一个状态的中途的状态的便携式信息终端310。 FIG 19B illustrates a portable information terminal 310 from a collapsed state and a deployed state becomes a state midway state in another state. 图19C示出折叠状态的便携式信息终端310。 FIG 19C shows a portable information terminal 310 a folded state. 便携式信息终端310在折叠状态下可携带性好，在展开状态下因为具有无缝拼接的较大的显示区域所以显示一览性强。 The portable information terminal 310 in a folded state is good portability, as in an expanded state having a larger display area displays a list of seamless So strong. 显示面板316由铰链部313所连接的三个框体315来支撑。  The display panel 316 is supported by the frame 315 three hinge portion 313 is connected. 通过铰链部313使两个框体315之间弯折，可以从便携式信息终端310的展开状态可逆性地变为折叠状态。 By a hinge portion 313 between the two frames 315 is bent, folded state can be reversibly changed from an unfolded state of the portable information terminal 310. 可以将本发明的一个方式的触摸面板用于显示面板316。 The touch panel of one embodiment of the present invention may be used for the display panel 316. 例如，可以使用能够以Imm以上且150mm以下的曲率半径弯曲的触摸面板。 For example, it can be used Imm 150mm or more and a radius of curvature of the curved touch panel. 在本发明的一个方式中，也可以具备检测触摸面板的折叠状态或展开状态且供应检测信息的传感器。  In one embodiment of the present invention may be provided with the touch panel detects a folded state or an unfolded state detection sensor and supplied information. 触摸面板的控制装置也可以取得表示触摸面板处于折叠状态的信息， 停止折叠部分（或者折叠后用户不能看到的部分）的工作。 A touch panel control device may acquire the information showing the touch panel is folded state, stops the folded portion (folded portion of the rear or the user can not see) a. 具体而言，也可以停止显示工作。 Specifically, the display can also stop working. 此外，也可以停止用触摸传感器的检测。 In addition, the detection may be stopped by the touch sensor. 同样地，检测面板的控制装置也可以取得示出触摸面板处于展开状态的信息且重新开始显示或用检测传感器的检测。  Similarly, detection panel control means may acquire the information of the touch panel shown in an expanded state and the display is resumed with a detector or sensor for detecting. 图19D和图19E示出能够折叠的便携式信息终端320。  FIGS. 19D and FIG 19E illustrates a portable information terminal 320 can be folded. 图19D示出以使显示部322 位于外侧的方式折叠的便携式信息终端320。 FIG 19D shows that the display unit 322 positioned outside of the folded portable information terminal 320. 图19E示出以使显示部322位于内侧的方式折叠的便携式信息终端320。 19E shows that the display unit 322 of the portable information terminal 320 is folded inward. 在不使用便携式信息终端320时，通过将非显示部325向外侧折叠，能够抑制显示部322被弄脏或受损伤。 When not in use the portable information terminal 320, by the non-display portion 325 is folded to the outside, the display unit 322 can be suppressed to be soiled or damaged. 可以将本发明的一个方式的触摸面板用于显示部322。 The touch panel of one embodiment of the present invention may be used for the display portion 322. 图19F是说明便携式信息终端330的外形的透视图。  FIG. 19F is a perspective view illustrating the appearance of the portable information terminal 330. 图19G是便携式信息终端330的俯视图。 FIG 19G is a plan view of the portable information terminal 330 of FIG. 图19H是说明便携式信息终端340的外形的透视图。 FIG 19H is a perspective view illustrating the appearance of the portable information terminal 340 will be described. 便携式信息终端330、340例如具有选自电话机、电子笔记本和信息阅读装置等中的一种或多种的功能。  330, 340, for example, having one selected from the telephone, an electronic notebook or the like and the information reading means more of the functions of the portable information terminal. 具体而言，可以将该便携式信息终端330、340用作智能手机。 Specifically, the portable information terminal 330, 340 as a smart phone. 便携式信息终端330、340可以将文字或图像信息显示在其多个面上。  The portable information terminal 330, 340 may be text or image information is displayed on a plurality of surfaces thereof. 例如，可以将三个操作按钮339显示在一个面上（图19F、图19H)。 For example, three operation buttons 339 may be displayed on one surface (FIG. 19F, FIG. 19H). 另外，可以将由虚线矩形表示的信息337显示在另一个面上（图19F、图19G、图19H)。 Further, the information may be displayed by a dotted line rectangle 337 shown in the other surface (FIG. 19F, FIG. 19G, FIG. 19H). 此外，作为信息337的例子，可以举出来自SNS(Social Networking Services :社交网络服务）的通知；提示收到电子邮件或电话等的显示；电子邮件等的标题或发送者姓名；日期；时间；电池余量；以及天线接收强度等。 In addition, information 337 as an example, include from SNS (Social Networking Services: social networking service) notification; receive prompt display e-mail or phone; e-mail sender's name or title; date; time; remaining battery level; and an antenna receiving strength. 或者，也可以在显示有信息337的位置显示操作按钮339或图标等代替信息337。 Alternatively, the location information 337 displayed an operation button 339 or the like instead of the information icon 337 in the display. 注意，虽然图19F和图19G示出在上侧显示有信息337的例子，但是本发明的一个方式不局限于此。 Note that, although FIG. 19F and FIG. 19G shows the displayed information on the side of the case 337, but one embodiment of the present invention is not limited thereto. 例如，如图19H所示的便携式信息终端340那样，也可以将信息337显示在横向侧面。 For example, the portable information terminal 340 as shown in FIG. 19H, the information 337 may be displayed on the lateral side. 例如，便携式信息终端330的用户能够在将便携式信息终端330放在上衣口袋里的状态下确认其显示（这里是信息337)。  For example, the portable information terminal 330 can confirm the user of the display (here, information 337) in the portable information terminal 330 on the shirt pocket state. 具体而言，将打来电话的人的电话号码或姓名等显示在能够从便携式信息终端330的上方观看到的位置。  Specifically, the called person's phone number or name display position, etc. can be viewed from above of the portable information terminal 330 to. 用户可以确认到该显示，由此判断是否接电话，而无需从口袋里拿出便携式信息终端330。 The user can confirm the display, thereby determining whether or not to answer the phone, without his pocket portable information terminal 330. 可以将本发明的一个方式的触摸面板用于便携式信息终端330的框体335及便携式信息终端340的框体336所具有的显示部333。  The touch panel of one embodiment of the present invention may be used for block 330 the portable information terminal display unit 333 and the housing 335 of the portable information terminal 340 has a body 336. 通过本发明的一个方式，能够以高成品率提供一种具备弯曲的显示部且可靠性高的触摸面板。 By one embodiment of the present invention can provide a display having a curved portion and high reliability of the touch panel at a high yield. 另外，如图191所示的便携式信息终端345那样，可以在三个以上的面上显示信息。  Further, the portable information terminal 345 as shown in FIG. 191, the information may be displayed on the face of three or more. 在此，示出信息355、信息356以及信息357分别显示于不同的面上的例子。 Here, information showing 355, information 356, and information 357 are shown in various example surfaces. 可以将本发明的一个方式的触摸面板用于便携式信息终端345的框体354所具有的显示部358。  The touch panel of one embodiment of the present invention may be used for portable information terminals 358 of the housing 345 has the display unit 354. 通过本发明的一个方式，能够以高成品率提供一种具备弯曲的显示部且可靠性高的触摸面板。 By one embodiment of the present invention can provide a display having a curved portion and high reliability of the touch panel at a high yield. 在本实施例中，制造本发明的一个方式的能够弯曲的触摸面板。  In the present embodiment, one embodiment of the present invention for producing the touch panel can be bent. 另外，在本实施例中，说明对该触摸面板进行时间常数的评价及弯曲试验的评价的结果。 Further, in the present embodiment, evaluation results of the evaluation described bending test and the time constant of the touch panel. 在本实施例中，制造in-cell方式的触摸面板，在in-cell方式的触摸面板中将触摸传感器形成在具有柔性的显示面板的对置衬底（显示面一侧的衬底）中。  In the present embodiment, for producing in-cell type touch panel is formed on a counter substrate (a substrate having a flexible display surface side of the display panel on the touch sensor in the touch panel of in-cell type )in. 再者，通过将触摸传感器的电极形成为金属网格形状，降低触摸传感器与显示面板之间的负载电容。 Further, the touch sensor electrode formed by a metal mesh shape, to reduce the load capacitance between the display panel and the touch sensor. 通过采用这种结构，可以使触摸面板整体的厚度薄，足以被使用者自由地折叠。 With such a structure, the overall thickness of the touch panel, the user freely enough to be folded. 另外，因为负载电容小，所以显示面板对触摸传感器产生的噪音的影响被抑制，而可以抑制误检测或无法检测等不良现象的发生。 Further, since the load capacitance is small, the display panel on the influence of noise generated by the touch sensor is suppressed, but can suppress the occurrence of erroneous detection can not be detected, or the other undesirable phenomena. 作为在本实施例中制造的in-cell方式的触摸面板的驱动方法，采用投影电容式之一的互电容式。  As the in-cell type in the present embodiment for producing the embodiment of the driving method for a touch panel, using mutual capacitance of one of the projection capacitance type. 在本实施例中，制造具有图12A和图12B所例示的截面结构的触摸面板。  In the present embodiment, FIGS. 12A and manufactured having a cross-sectional structure of the touch panel illustrated in FIG 12B. 另外，作为触摸传感器的网格图案，使用图6所例示的图案。 As the mesh pattern of touch sensors, using the pattern shown in FIG. 6 embodiment. 图20示出在本实施例中制造的触摸面板的结构。  FIG. 20 shows the structure of the present embodiment for producing a touch panel of the embodiment. 图20的中央示出触摸面板的示意图，左侧示出触摸面板的截面结构，右侧示出触摸面板的弯曲部分的放大图。 Central schematic diagram illustrating the touch panel 20, the left side shows a cross-sectional structure of the touch panel, the right side shows an enlarged view of a bent portion of the touch panel. 触摸面板包括具有柔性的显示部（记作显示器（Display))及FPC。 The touch panel includes a flexible display unit (referred to as a display (Display)) and FPC. 触摸面板具有由粘合层将两个柔性衬底贴合的结构，此外，各柔性衬底的与另一柔性衬底相对的面上设置有钝化层。 The touch panel having an adhesive layer bonding two flexible substrate structure, moreover, each flexible substrate with another flexible substrate opposite to the surface provided with a passivation layer. 在一个柔性衬底上的钝化层上形成有FET层（记作FET)及有机EL元件（记作0LED)。 It is formed on a passivation layer on the flexible substrate with a FET layer (referred to as FET) and an organic EL element (referred to as 0LED). 在另一个柔性衬底上的钝化层上形成有触摸传感器及滤色片。 On the other passivation layer is formed on a flexible substrate with a color filter and a touch sensor. 如图20所示，在本实施例中制造的触摸面板的显示面能够弯曲成凸状及凹状。 As shown in FIG display surface, a touch panel in the embodiment of the present embodiment can be produced in 20 is convexly curved and concave. 首先，在玻璃衬底上形成剥离层、钝化层、FET层及有机EL元件。  First, a peeling layer, a passivation layer, a layer of the FET and an organic EL element on the glass substrate. CAAC-OS是结晶的c轴在大致垂直于膜面的方向上取向的结晶氧化物半导体。  CAAC-OS is the c-axis in a direction substantially perpendicular to the film plane of the crystal orientation of the oxide semiconductor. 还确认到氧化物半导体除了单晶结构之外还具有多种结晶结构如纳米尺寸的微晶集合体的nano-crystal (nc :纳米晶）结构等。 Also confirmed in addition to the oxide semiconductor single crystal structure having a plurality of further crystal structures of nanometer size such as microcrystalline aggregate of nano-crystal (nc: nano-crystalline) structure. CAAC-OS的结晶性低于单晶结构而高于nc结构。 CAAC-OS crystallinity is lower than the single crystal structure than nc structure. 因为CAAC-OS具有观察不到晶界的特征，所以能够大面积地形成稳定且均匀的膜，并且不容易因具有柔性的发光装置弯曲时产生应力而使CAAC-OS膜产生裂缝。 Because CAAC-OS characteristic was observed not have grain boundaries, it is possible to form a stable and uniform film of large area, and is not prone to stress the CAAC-OS film cracked when having a flexible light-emitting device due to bending. 在本实施例中，作为氧化物半导体材料使用In-Ga-Zn类氧化物。  In the present embodiment, using the In-Ga-Zn based oxide as the oxide semiconductor material. 作为像素电极（第一电极221)，使用包含反射率极高的银的合金。  As a pixel electrode (first electrode 221), containing a high reflectance of silver alloy. 此外，以能够得到微腔效果的方式，根据子像素的结构在像素电极上形成适当的厚度的透明电极层（光学调整层224)。 In addition, microcavity effects can be obtained in a manner, according to the sub-pixel structure of the transparent electrode layer is formed a suitable thickness (optical adjustment layer 224) on the pixel electrode. 作为有机EL元件，使用顶部发射方式的白色EL元件。  As the organic EL element, a white EL device of a top emission type. 该有机EL元件采用层叠有蓝色发光单元与黄色发光单元的串联结构。 The organic EL device using stacked tandem structure yellow blue light emitting unit and the light emitting unit. 另外，在与上述玻璃衬底不同的玻璃衬底上形成剥离层、钝化层、遮光层、触摸传感器电极及滤色片。  Further, the release layer is formed, a passivation layer, a light-shielding layer, and a touch sensor electrodes on the color filter glass substrate different from the above glass substrate. 为了抑制触摸传感器电极引起的光的反射，在触摸传感器电极与钝化层之间配置遮光层。 In order to suppress reflection of light caused by a touch sensor electrodes, the light shielding layer is disposed between the touch sensor electrode and the passivation layer. 接着，由粘合层将两个衬底贴合。  Next, an adhesive layer is bonded two substrates. 将此时的衬底间距离（液晶盒厚）调整为5 μπι 左右。 At this time, the distance between the substrates (cell gap) is adjusted to about 5 μπι. 然后，在剥离层与钝化层之间剥离各衬底，并粘贴柔性衬底。 Then, the passivation layer between the release layer and the release of each substrate, a flexible substrate and paste. 作为柔性衬底，使用厚度大约为20 μπι的塑料衬底。 As a flexible substrate, a thickness of about 20 μπι plastic substrate. 由此制造触摸面板。  thereby producing a touch panel. 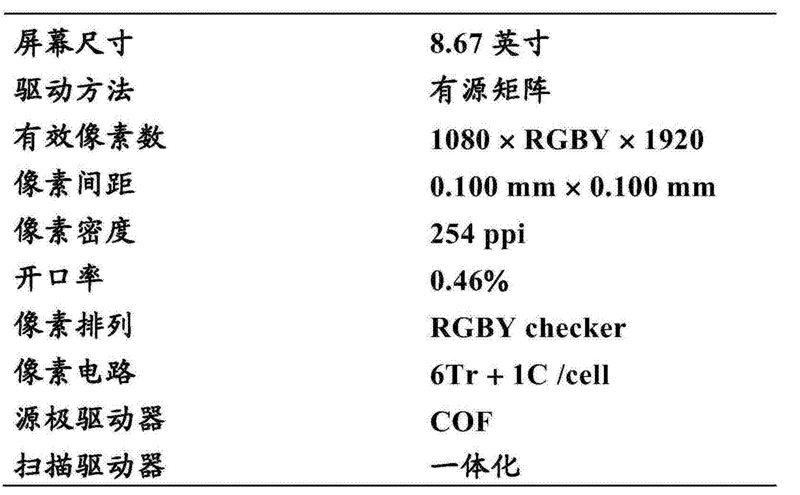 表1示出显示装置的规格，表2示出触摸传感器的规格。 Table 1 shows the specifications of the display device, Table 2 shows the specifications of the touch sensor. 在本实施例中制造的触摸面板所包括的像素由RGBY四种颜色的子像素构成。  manufactured in this embodiment comprises a touch panel is constituted by pixels of four colors of RGBY sub-pixel. 通过使用Y(黄色）的子像素，提高了电流效率，并且与使用白色的子像素的情况相比降低了因视角的不同而发生的色度的变化。 By using the sub-pixel Y (yellow), to improve the current efficiency, and compared with the case where the white sub-pixel reduces the change in chromaticity due to the different viewing angles occur. 在触摸传感器中，在显示部的长边方向上形成48个用于发送的电极，在短边方向上形成27个用于接收的电极。  In the touch sensor, the electrodes 48 are formed for transmission in the longitudinal direction of the display unit, for receiving electrodes 27 are formed on the short-side direction. 此外，各电极间的间隔为4mm。 Further, the spacing between the electrodes was 4mm. 显示部中的40X40的像素相当于触摸传感器的一个单元。 40X40 pixel corresponds to a display unit in the touch sensor unit. 图21A至图21C示出所制造的触摸面板的照片。  FIGS. 21A to 21C illustrate a touch panel manufactured photograph. 图21A示出将显示面板展开的状态，图21B示出将显示面板折叠成三折的状态，图21C示出在将显示面板折叠的中途进行触摸操作的状态。 21A shows a display panel unfolded state, FIG. 21B shows the display panel is folded in three, and Fig 21C shows a state in which a touch panel operation in the middle of the folded display. 确认到对触摸面板的表面为平面、凸状及凹状的部分的触摸都可以正常地被检测到。 Confirmed that the surface of the touch panel is planar, convex and concave portions of the touch can be detected properly. 另外，因为将像素配置在触摸传感器电极的网格的开口部分，所以几乎没有发生因追加触摸传感器而导致光提取效率的降低。  Further, since the pixels arranged in the opening portion of the grid electrodes of the touch sensor, it hardly occurred due to the additional touch sensor results in a reduction in light extraction efficiency. 接着，按各频率测定所制造的触摸面板的受信电极与显示面板之间的寄生电容及寄生电阻。  Next, the parasitic capacitance and parasitic resistance between the receiving electrode for each frequency of measurement of the manufactured touch panel and the display panel. 测定使用LCR测试仪（安捷伦科技（Agilent Technologies)公司制造，4275A) 进行。 Measured using an LCR meter (Agilent Technologies (Agilent Technologies), Inc., 4275A) were. 图22示出测定结果。  FIG. 22 shows the measurement result. 在图22中，左侧的纵轴表示寄生电容，右侧的纵轴表示寄生电阻，横轴表示频率。 In FIG. 22, left vertical axis represents the longitudinal axis of the parasitic capacitance, parasitic resistance on the right represents the horizontal axis represents frequency. 测定次数为6。 Determination of the number of 6. 如图22所示，当测定频率为IOkHz时，寄生电容大约为910pF，寄生抵抗大约为I. 3k Ω。 22, when the measuring frequency of IOkHz, a parasitic capacitance of approximately 910pF, the parasitic resistance of about I. 3k Ω. 从这些值计算时间常数，其结果为约1. 2 μ s。 Calculating the time constant from these values, a result of about 1. 2 μ s. 该值较低，但足以检测出触摸。 This value is lower, but sufficient to detect the touch. 接着，说明对制造的触摸面板进行弯曲试验而得到的结果。  Next, the results of the touch panel manufactured by a bending test obtained. 在曲率半径为5_及3mm的两个条件下分别以每2秒进行1次伸展动作的方式进行10万次弯曲试验。 Respectively bending test 100,000 times as to the expansion operation is performed once every two seconds under two conditions of a curvature radius of 3mm and 5_. 此外，进行使显示面朝向内侧的弯曲及使显示面朝向外侧的两种伸展动作。 Further, a curved inner side facing the display surface of the display surface and toward the outside of the two kinds of stretch. 确认到即使在10万次的伸展动作后也触摸面板能够进行正常的显示及正常的触摸检测。 Confirmed that even after extended operation of the touch panel 100,000 times normal display can be performed and a normal touch detection. 从上述结果可以确认到本发明的一个方式的触摸面板是实现了高可靠性、高可见度及低功耗的能够折叠的触摸面板。  The above results confirmed to the touch panel of one embodiment of the present invention is to realize a high-reliability, high visibility and low power consumption can be folded from the touch panel. 这种触摸面板可以扩大从未有过的新颖的便携式设备的可行性。 This touch panel can be expanded there has never been a novel portable devices feasibility. 1. 一种触摸面板，包括： 第一衬底； 第二衬底； 具有第一开口的第一导电层； 具有第二开口的第二导电层；以及所述第一衬底与所述第二衬底之间的第一发光元件及第二发光元件， 其中，所述第一导电层及所述第二导电层构成电容器， 所述第一开口与所述第一发光元件的整体互相重叠， 所述第二开口与所述第二发光元件的整体互相重叠， 并且，所述第一导电层及所述第二导电层位于所述第二衬底与所述第一发光元件及所述第二发光元件中的至少一个之间。 A touch panel, comprising: a first substrate; a second substrate; a first conductive layer having a first opening; a second conductive layer having a second opening; and wherein the first substrate and the second a first light emitting element and the second light emitting element between a second substrate, wherein the first conductive layer and the second conductive layer constitute a capacitor, a first opening and the entirety of the first light emitting element overlap each other the second opening and the second light emitting element integrally overlapped with each other, and the first conductive layer and the second conductive layer is between the second substrate and the first light emitting element and the between the at least one second light emitting element. 2. 根据权利要求1所述的触摸面板， 其中所述第一导电层及所述第二导电层中的至少一个的时间常数大于Os且为1X10 4S 以下。 The touch panel according to claim 1, wherein the first conductive layer and the second conductive layer is at least a time constant greater than 1X10 4S and is Os or less. 4. 根据权利要求1所述的触摸面板，还包括： 比所述第一导电层及所述第二导电层中的至少一个更靠近所述第一衬底的第三导电层， 其中所述第一导电层与所述第三导电层之间的第一距离及所述第二导电层与所述第三导电层之间的第二距离中的至少一个为25nm以上且50 ym以下。 The touch panel according to claim 1, further comprising: at least one is closer than the first conductive layer and the second conductive layer of the third conductive layer of the first substrate, wherein said a second distance between a first distance between the first conductive layer and the third conductive layer and the second conductive layer and the third conductive layer is at least one of 25nm or more and 50 ym or less. 5. 根据权利要求1所述的触摸面板，还包括： 第一绝缘层， 其中所述第一导电层与所述第二导电层互相重叠， 并且所述第一绝缘层位于所述第一导电层与所述第二导电层之间。 5. The touch panel according to claim 1, further comprising: a first insulating layer, wherein the first conductive layer and the second conductive layer overlap each other, the first insulating layer and the first conductive layer and the second conductive layer. 6. 根据权利要求1所述的触摸面板，还包括： 第四导电层；以及具有第三开口的第二绝缘层， 其中所述第四导电层与所述第二导电层互相重叠， 所述第二绝缘层位于所述第一导电层与所述第四导电层之间， 所述第二绝缘层位于所述第二导电层与所述第四导电层之间， 并且所述第一导电层与所述第四导电层通过所述第三开口互相电连接。 6. The touch panel according to claim 1, further comprising: a fourth conductive layer; and a second insulating layer having a third opening, wherein the fourth conductive layer and the second conductive layer overlap each other, the a second insulating layer located between the first conductive layer and the fourth conductive layer, the second insulating layer located between the second conductive layer and the fourth conductive layer and the first conductive layer and the fourth conductive layer through the third opening electrically connected to each other. 7. 根据权利要求1所述的触摸面板，还包括： 所述第二衬底与所述第一导电层及所述第二导电层中的至少一个之间的遮光层， 其中所述第一导电层与所述遮光层互相重叠， 并且所述第二导电层与所述遮光层互相重叠。 The touch panel according to claim 1, further comprising: a second light-shielding layer between the substrate and the first conductive layer and the second conductive layer is at least one, wherein said first conductive layer and the light-shielding layer overlap each other, and the second conductive layer and the light-shielding layer overlap each other. 8. -种模块，包括： 权利要求1所述的触摸面板；以及柔性印刷电路及载带封装中的至少一个。 8. - kind of module, comprising: a touch panel according to claim 1; and at least one flexible printed circuits and tape carrier package. 9. 一种电子设备，包括： 权利要求1所述的触摸面板；以及电池、天线、框体、操作按钮、外部连接端口、扬声器及麦克风中的至少一个。 An electronic apparatus, comprising: a touch panel according to claim 1; and a battery, an antenna, a housing, an operation button, an external connection port, at least one speaker and a microphone in. 10. -种触摸面板，包括： 第一衬底； 第二衬底； 具有第一开口的第一导电层； 具有第二开口的第二导电层；以及所述第一衬底与所述第二衬底之间的第一发光元件及第二发光元件， 其中，所述第一导电层及所述第二导电层构成电容器， 所述第一开口与所述第一发光元件的整体及所述第二发光元件的整体的双方互相重置， 并且，所述第一导电层及所述第二导电层位于所述第二衬底与所述第一发光元件及所述第二发光元件中的至少一个之间。 10. - kind of touch panel, comprising: a first substrate; a second substrate; a first conductive layer having a first opening; a second conductive layer having a second opening; and wherein the first substrate and the second a first light emitting element and the second light emitting element between a second substrate, wherein the first conductive layer and the second conductive layer constitute a capacitor, and the entirety of the first opening and the first light emitting element both said overall reset each second light emitting element, and the first conductive layer and the second conductive layer is between the second substrate and the first light emitting element and the second light emitting element between at least one. 11. 根据权利要求10所述的触摸面板， 其中所述第一导电层及所述第二导电层中的至少一个的时间常数大于Os且为1X10 4S 以下。 11. The touch panel according to claim 10, wherein the first conductive layer and the second conductive layer is at least a time constant greater than 1X10 4S and is Os or less. 13. 根据权利要求10所述的触摸面板，还包括： 比所述第一导电层及所述第二导电层中的至少一个更靠近所述第一衬底的第三导电层， 其中所述第一导电层与所述第三导电层之间的第一距离及所述第二导电层与所述第三导电层之间的第二距离中的至少一个为25nm以上且50 ym以下。 13. The touch panel according to claim 10, further comprising: a conductive than the first layer and the second conductive layer is at least a third conductive layer is closer to the first substrate, wherein said a second distance between a first distance between the first conductive layer and the third conductive layer and the second conductive layer and the third conductive layer is at least one of 25nm or more and 50 ym or less. 14. 根据权利要求10所述的触摸面板，还包括： 第一绝缘层， 其中所述第一导电层与所述第二导电层互相重叠， 并且所述第一绝缘层位于所述第一导电层与所述第二导电层之间。 14. The touch panel according to claim 10, further comprising: a first insulating layer, wherein the first conductive layer and the second conductive layer overlap each other, the first insulating layer and the first conductive layer and the second conductive layer. 15. 根据权利要求10所述的触摸面板，还包括： 第四导电层；以及具有第三开口的第二绝缘层， 其中所述第四导电层与所述第二导电层互相重叠， 所述第二绝缘层位于所述第一导电层与所述第四导电层之间， 所述第二绝缘层位于所述第二导电层与所述第四导电层之间， 并且所述第一导电层与所述第四导电层通过所述第三开口互相电连接。 15. The touch panel according to claim 10, further comprising: a fourth conductive layer; and a third opening having a second insulating layer, wherein the fourth conductive layer and the second conductive layer overlap each other, the a second insulating layer located between the first conductive layer and the fourth conductive layer, the second insulating layer located between the second conductive layer and the fourth conductive layer and the first conductive layer and the fourth conductive layer through the third opening electrically connected to each other. 16. 根据权利要求10所述的触摸面板，还包括： 所述第二衬底与所述第一导电层及所述第二导电层中的至少一个之间的遮光层， 其中所述第一导电层与所述遮光层互相重叠， 并且所述第二导电层与所述遮光层互相重叠。 16. The touch panel according to claim 10, further comprising: a second light-shielding layer between the substrate and the first conductive layer and the second conductive layer is at least one, wherein said first conductive layer and the light-shielding layer overlap each other, and the second conductive layer and the light-shielding layer overlap each other. 17. -种模块，包括： 权利要求10所述的触摸面板；以及柔性印刷电路及载带封装中的至少一个。 17. - kind of module comprising: a touch panel according to claim 10; and a flexible printed circuit tape carrier package, and at least one. 18. -种电子设备，包括： 权利要求10所述的触摸面板；以及电池、天线、框体、操作按钮、外部连接端口、扬声器及麦克风中的至少一个。 18. - electronic apparatus, comprising: a touch panel according to claim 10; and a battery, an antenna, a housing, an operation button, an external connection port, at least one speaker and a microphone in.